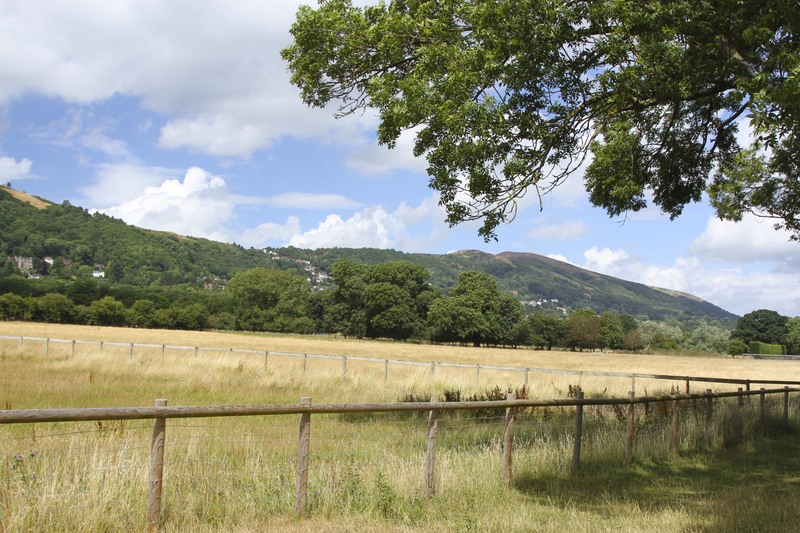 The Malvern Hills are at their most dramatic in the area around the old Victorian spa town of Great Malvern. 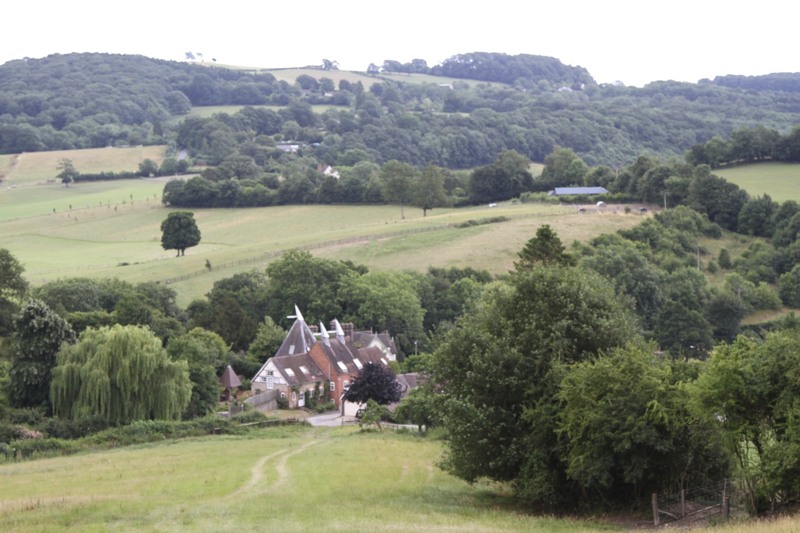 Head north though, and the hills extend all the way to the River Theme and Ankerdine Hill, near the village of Knightwick. 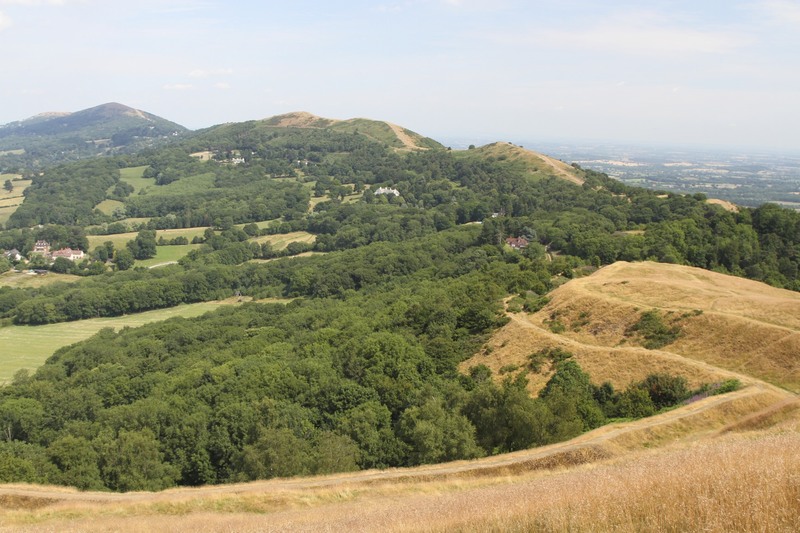 This northern extension of the Malvern Hills, en route to Ankerdine Hill, is smaller, less dramatic and more wooded. 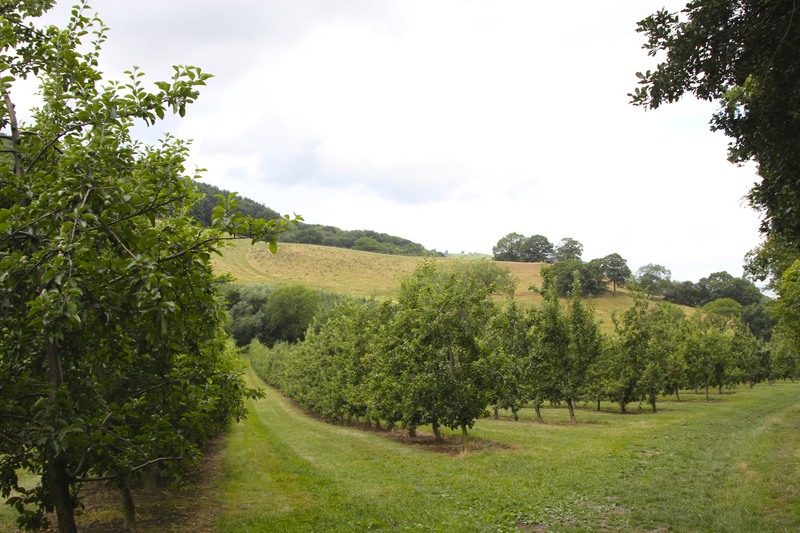 Following the well marked Worcestershire Way, you pass through cider apple orchards, rolling farmland of rye, barley and wheat; you weave between old, picturesque villages with beautiful churches and traditional pubs. 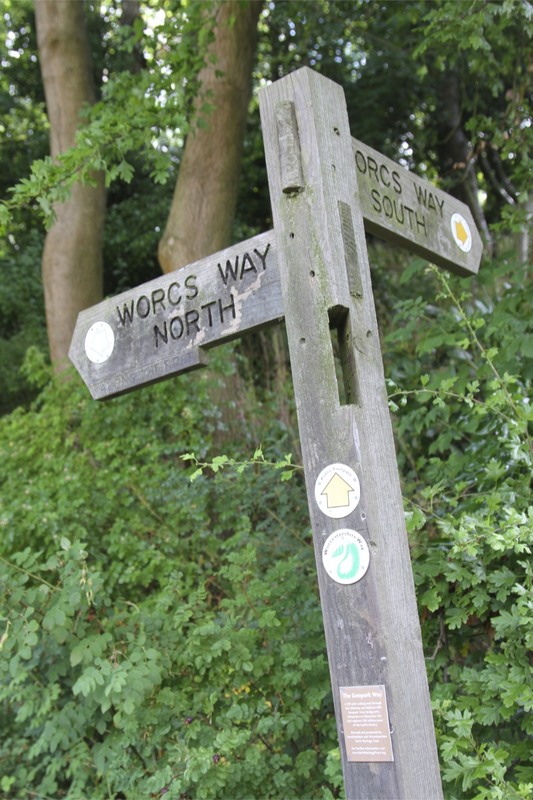 All-in-all the Worcestershire Way is a delight. 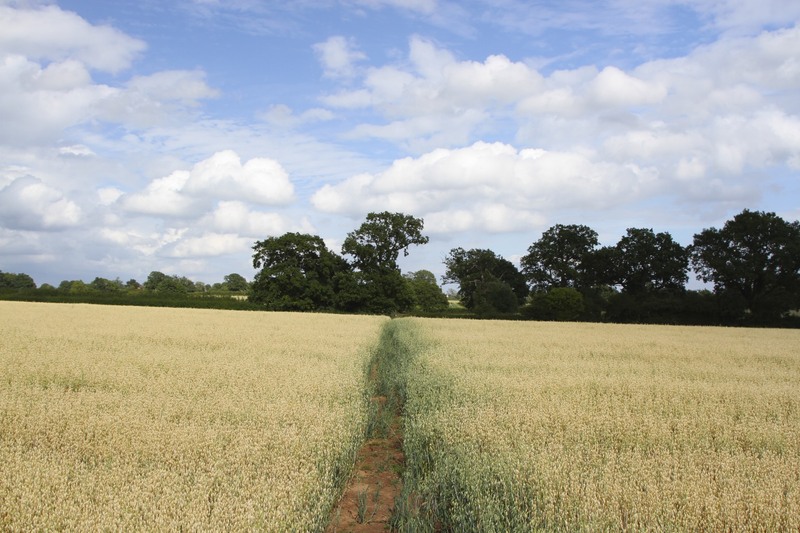 Eventually, you reach the Three Choirs Way – quite possibly the worst footpath I’ve walked along. 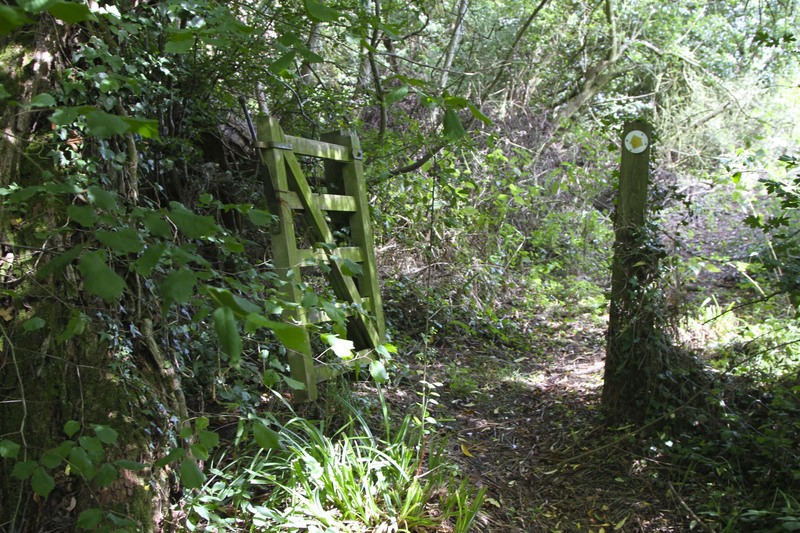 If you want rubbish sign posts, decaying bridges, broken stiles, overgrown footpaths (overgrown mainly with stinging nettles) and the miserable experience of people removing directional signs – not to mention building a garden shed to ‘hide’ the footpath – then the Three Choirs Way is for you. I can read a map and am not easily put off by a bit of footpath adversity, but this walk was a struggle. 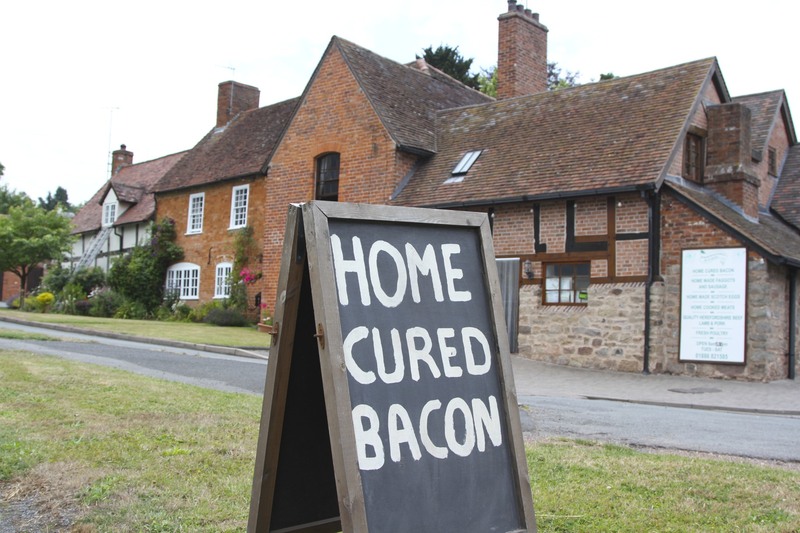 The local authorities, starting with the the entire elected members of Worcestershire County Council, should be forced to walk the route and declare it fit for human transport. Preferably they should walk it in shorts and T-shirts so they can fully appreciate why stinging nettles aren’t a good companion to outdoor activity. 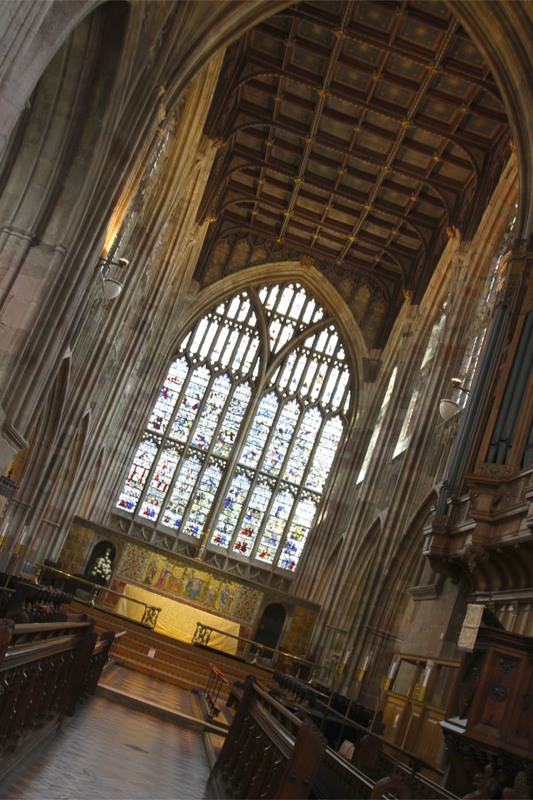 The Three Choirs Way is so called because it links the ancient cathedral towns of Gloucester, Hereford and Worcester, all of which still host annual music festivals. 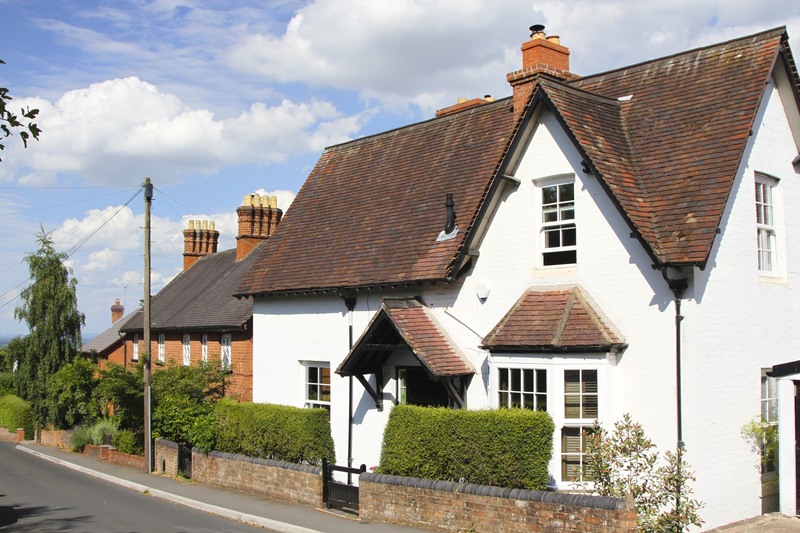 It also passes through Lower Broadheath, the birthplace of composer Edward Elgar – adding some much needed glamour to the route. 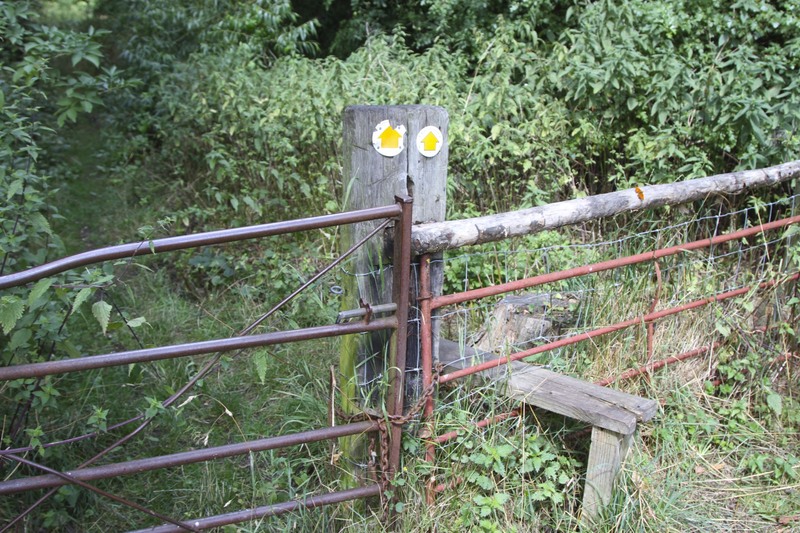 The landscape you pass through is beautiful, such a shame the footpaths are in terrible condition. 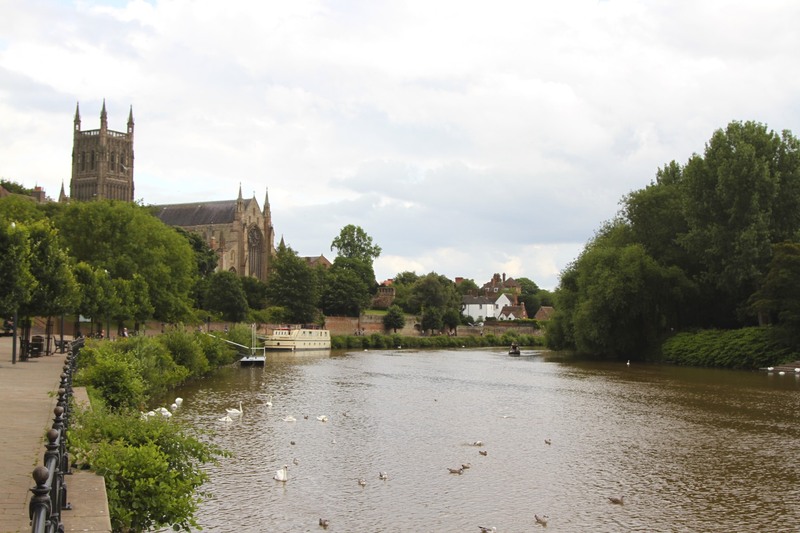 Once you’ve endured hours of torture on the Three Choirs Way, the chances are you’ll manage to reach the River Severn at Worcester. Though, if you ended you somewhere entirely different, I wouldn’t be surprised. 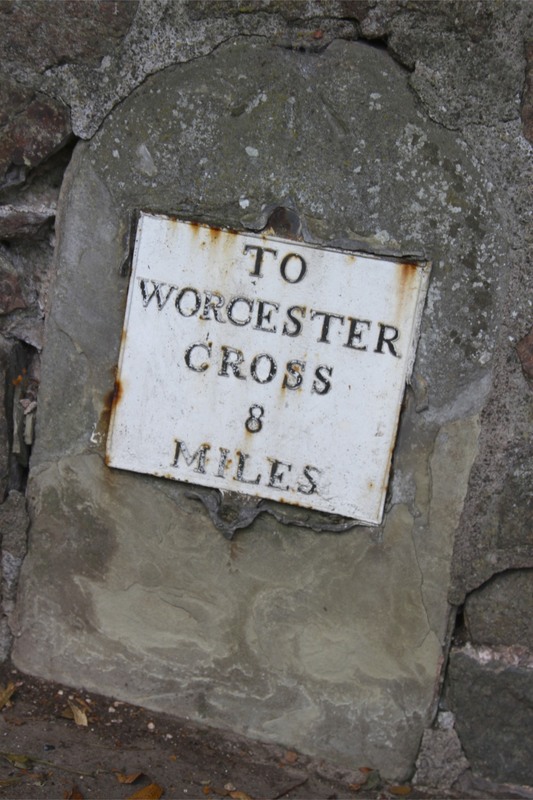 Worcester has a wealth of history, but perhaps its most significant single event came on 3rd September 1651. 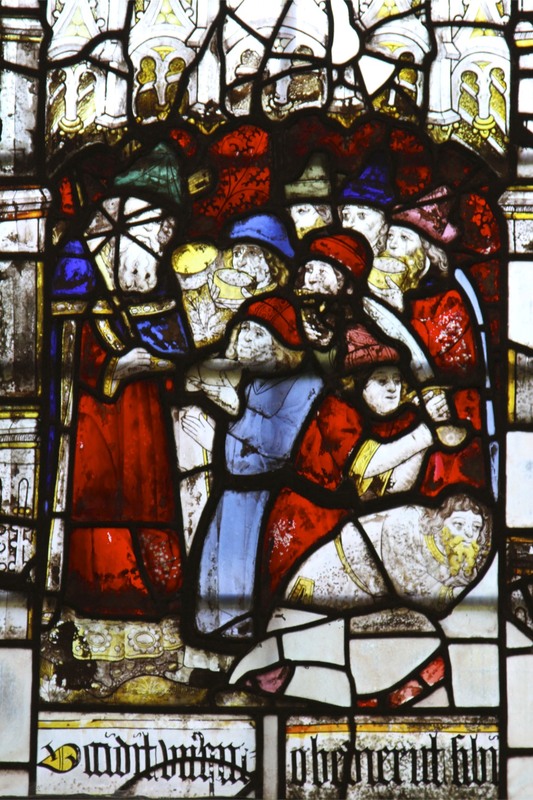 It was at Worcester that Oliver Cromwell’s New Model Army finally defeated King Charles II, who had invaded England from Scotland with an army of Scots soldiers, to try to reclaim the throne his family had lost when King Charles I was beheaded. 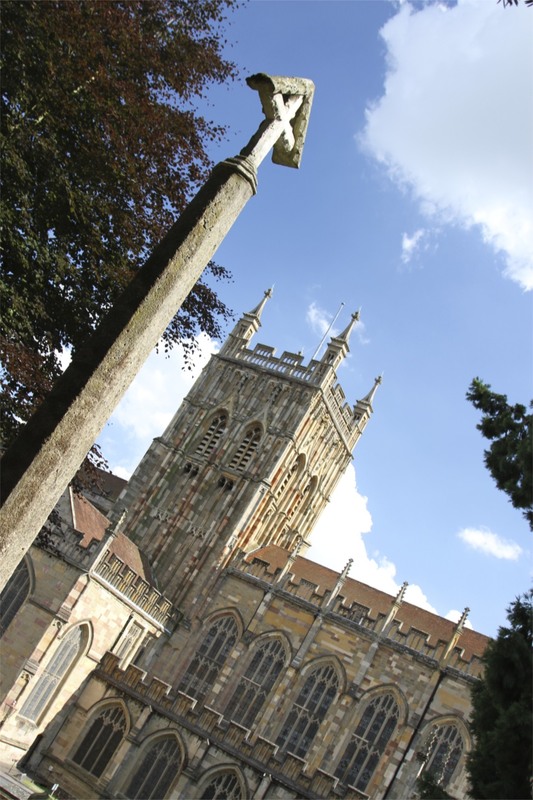 The Battle of Worcester raged alongside and over both the River Theme and the River Severn – Charles II used Worcester Cathedral as a vantage point to observe the battle. 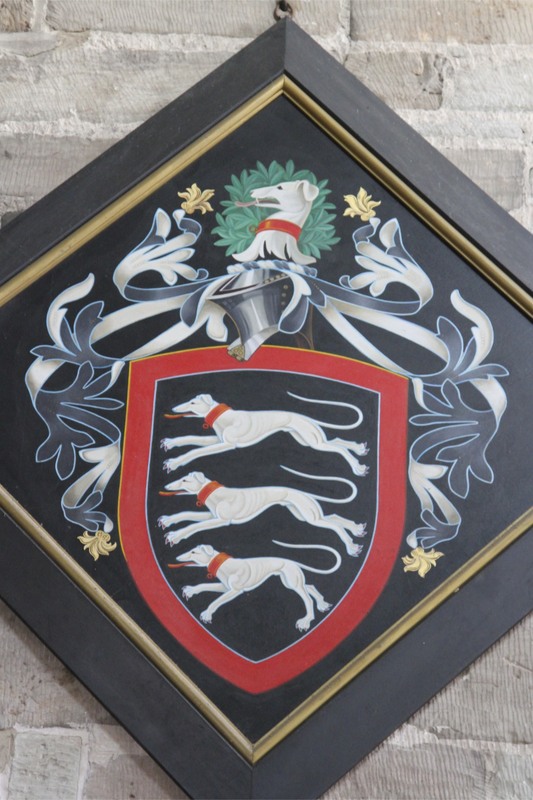 For the Royalists, it was all in vain. 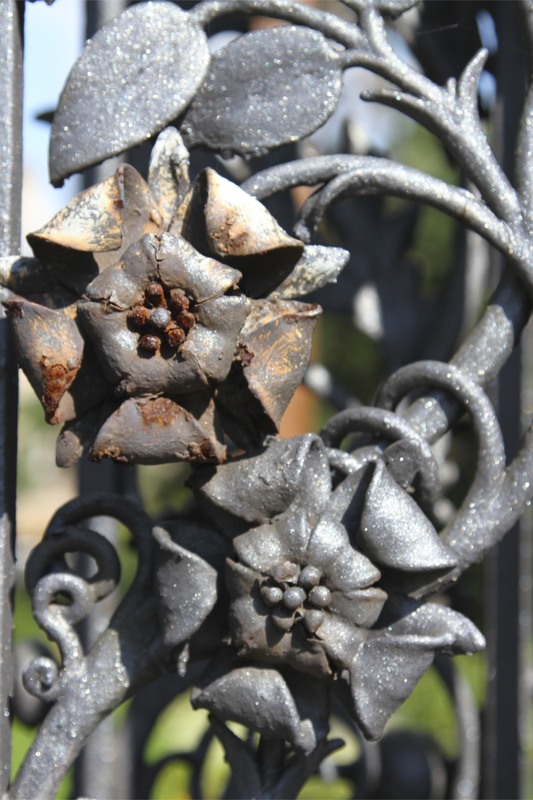 They were routed and the city taken. 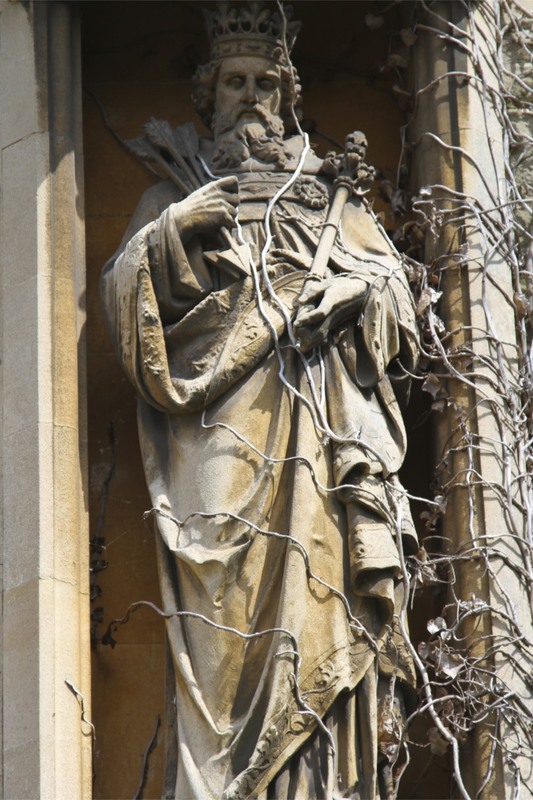 As every good schoolchild knows, Charles II escaped, hiding in an oak tree in the grounds of Boscobel House. His troops weren’t so lucky, thousands of his Scottish troops were caught and shipped to the West Indies. 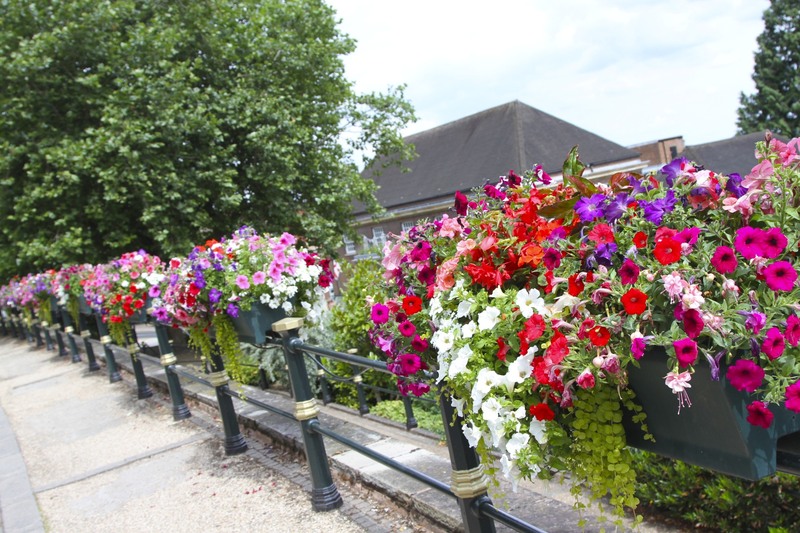 I found myself wishing Cromwell would come back and sort out the current Worcestershire County Council in the same manner – although perhaps sending them to a tropical Caribbean island would only discourage them from sorting out their footpaths. 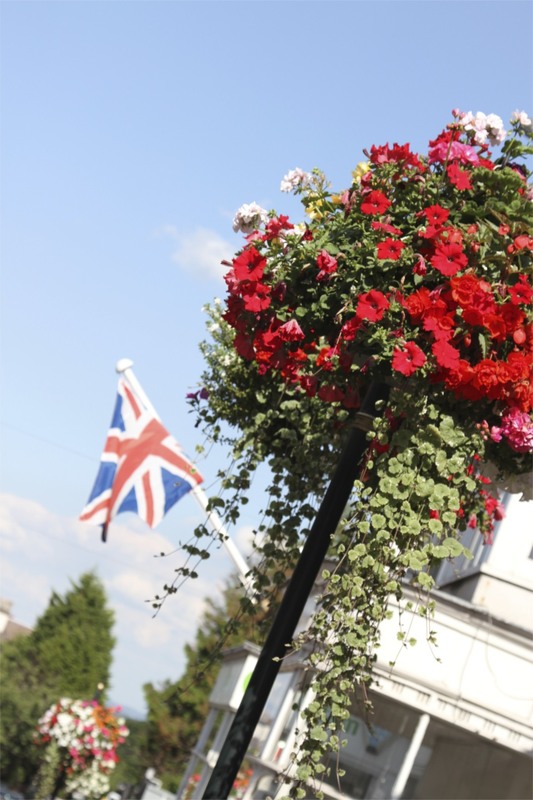 Is Malvern a town with an identity crisis? I’ve been here for a few days now, in that time I’ve discovered six different and distinct places using the name Malvern. Yet on closer inspection, it turns out ‘Malvern’ doesn’t really exist. This isn’t an existential identity crisis though. 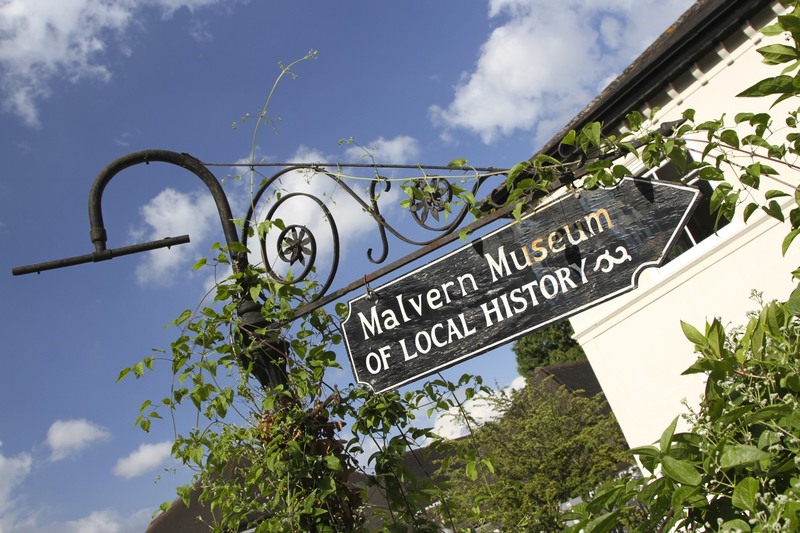 People use ‘Malvern’ as shorthand for Great Malvern, the biggest of all the Malverns. 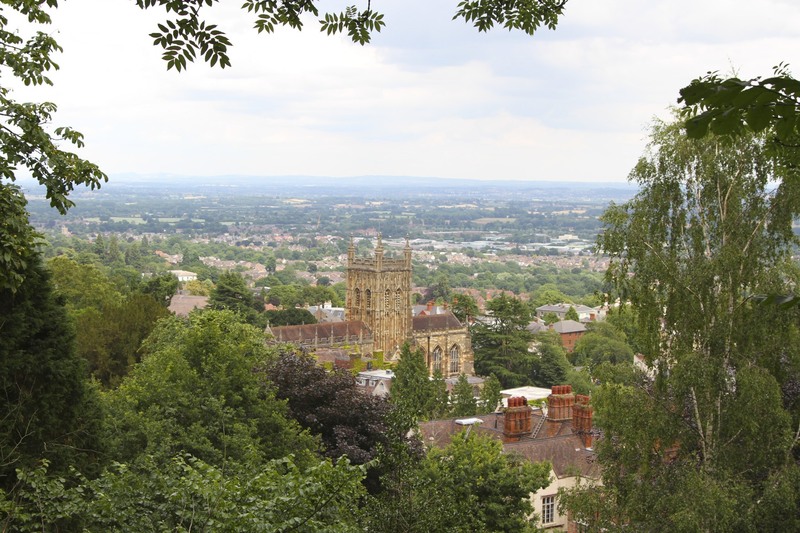 In no particular order, there are also North Malvern, West Malvern, Malvern Link, Malvern Wells and Little Malvern. 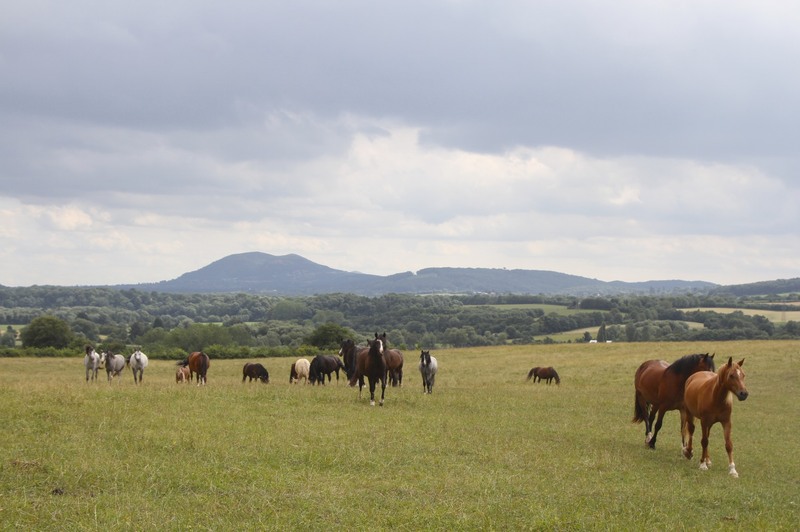 None of these Malverns is more than a couple of miles from any of the others. I have sympathy for those who might think this is deliberately confusing. 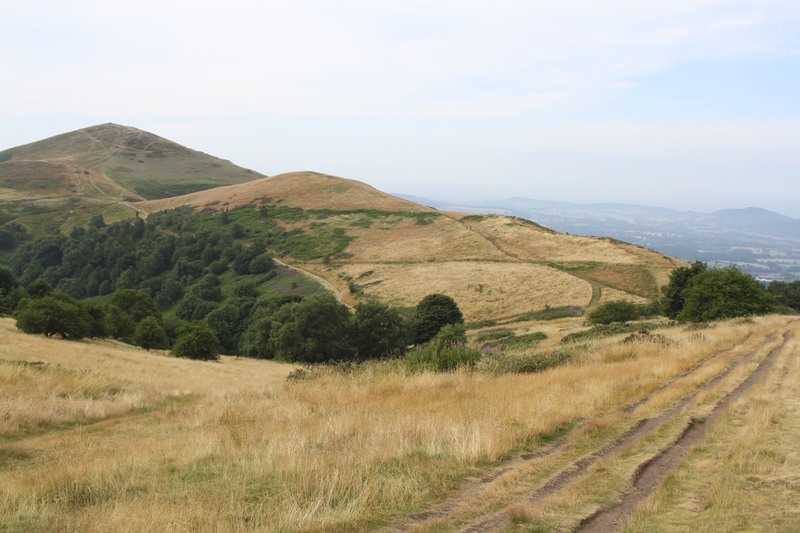 In a spirit of adventure, I set out to discover all of these different Malverns. 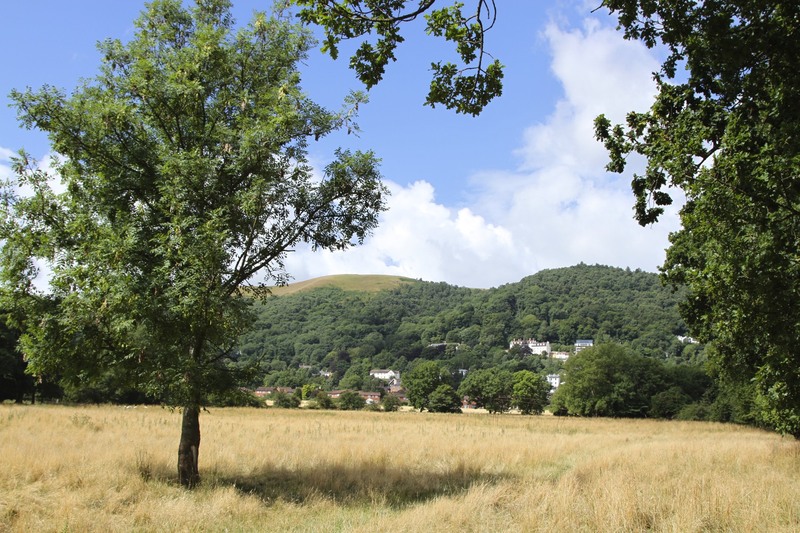 Some (Malvern Link and North Malvern) are so close to Great Malvern that I’d walked through them without knowing it. 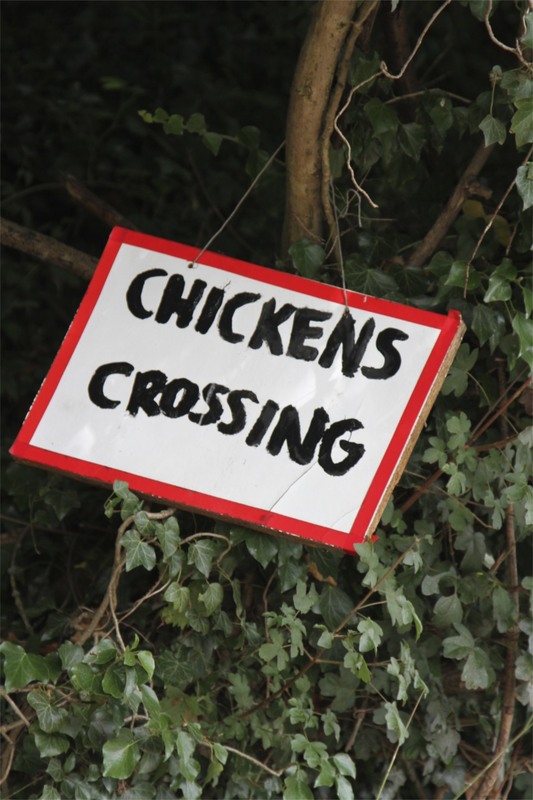 Others were more difficult to track down. 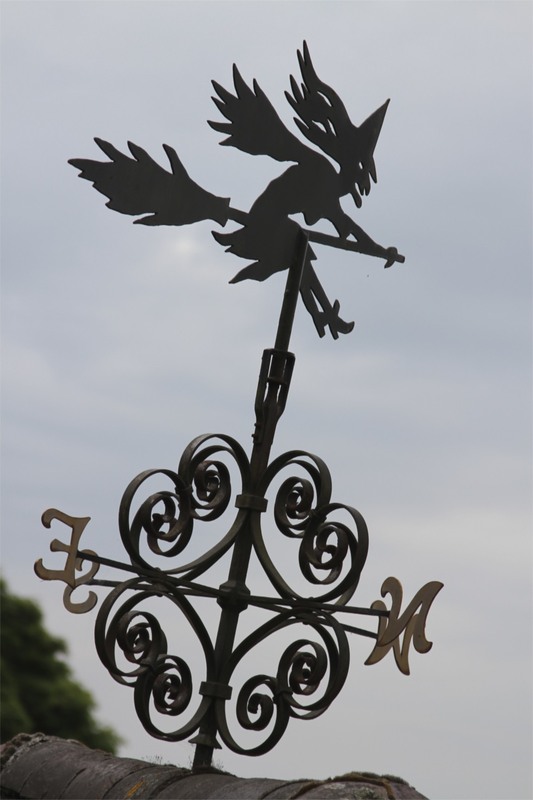 So I headed off to locate Malvern Wells and Little Malvern, in the hope of solving the mystery of the ‘Malverns’ for ever. 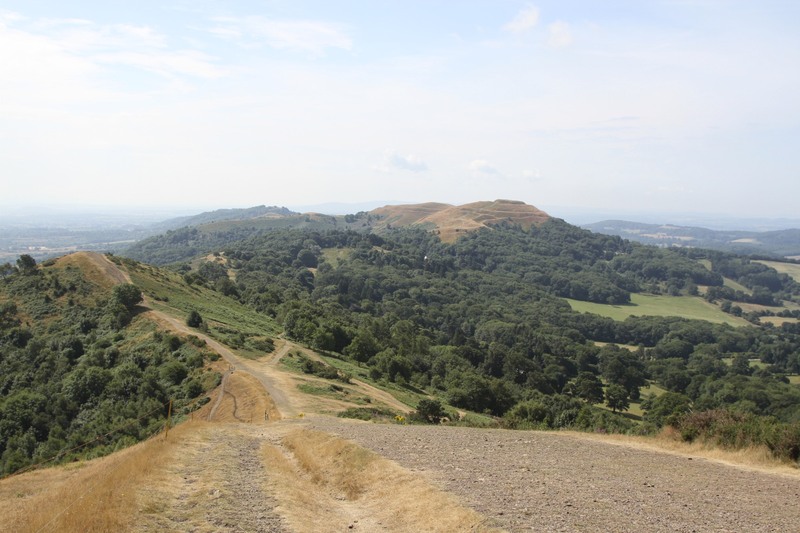 The walk from Great Malvern to these two lesser Malverns takes you along a disused railway line, now covered in shady trees, and then across farmland. Its a beautiful walk through perfect picture postcard countryside. 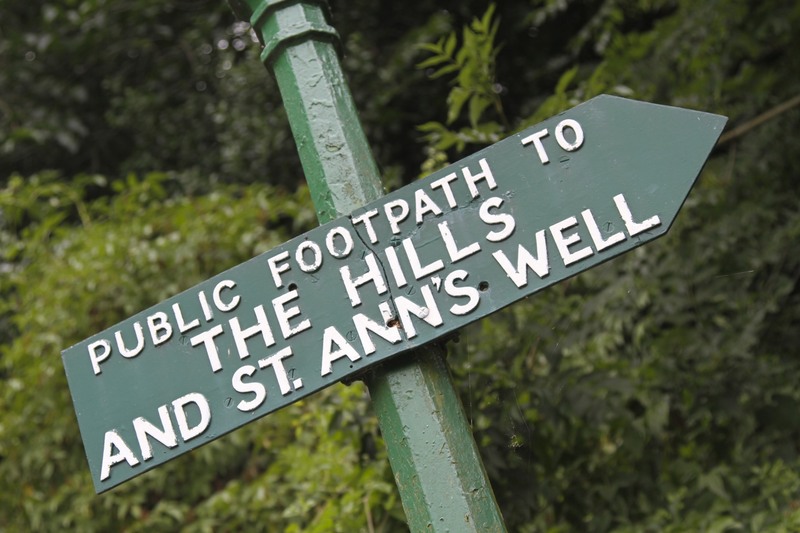 It wasn’t long before I was cutting across fields towards Malvern Wells and the area’s most famous natural spring, Holy Well. 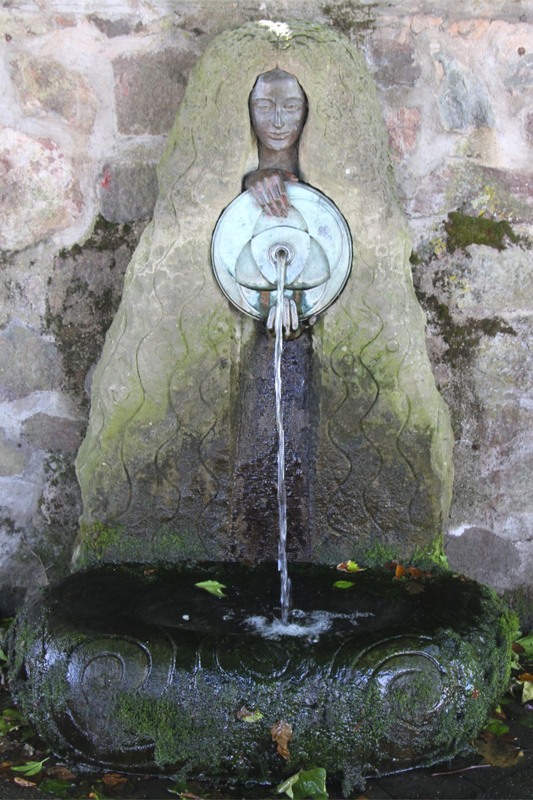 Holy Well got its name because its waters were believed to have God-given healing powers. 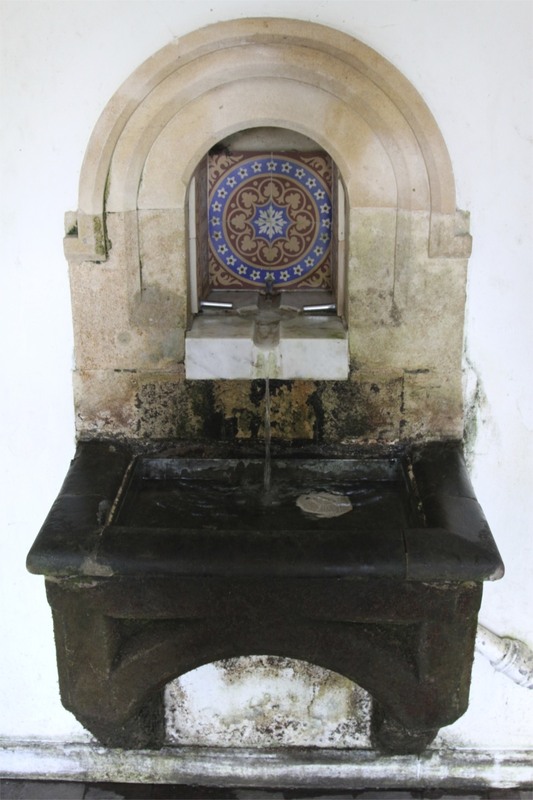 Holy Well was on pilgrimage routes in the 12th and 13th centuries, allowing pilgrims the opportunity to bathe in the ‘healing’ waters. 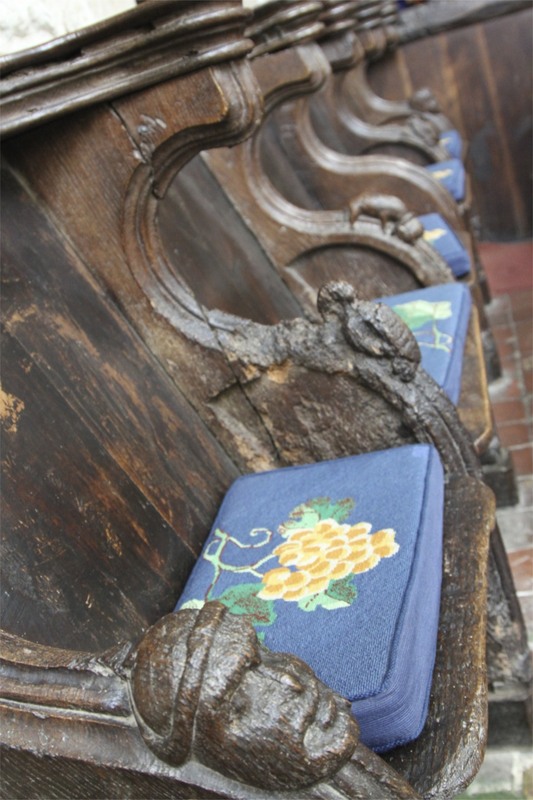 Its likely that the Friars from the nearby Priory at Little Malvern used it for this purpose as well. 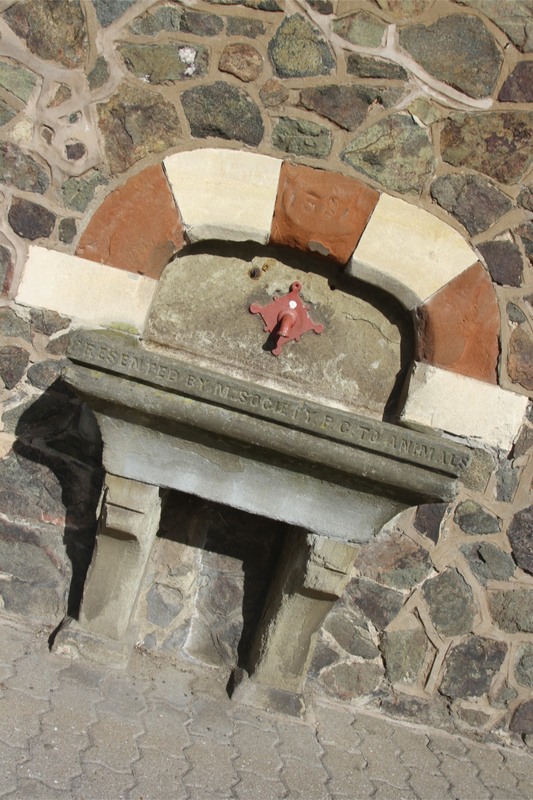 Holy Well’s water grew in popularity, thanks in part to deluded individuals crediting the water with curing all sorts of ailments. In 1756, Dr. John Wall did an analysis of Holy Well water. It was very pure, containing almost no organic matter or minerals, almost pure enough to be distilled water. This is attributable to the filtration process the water undergoes passing through the ancient rock of the Malvern Hills. 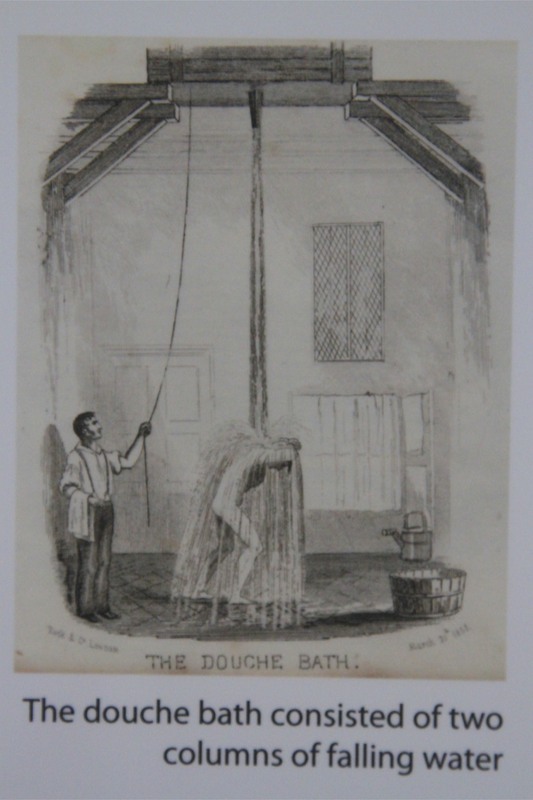 By the late 18th century, Dr. Wall was advocating the bathing of sores, tumours and all sort of other infections, including leprosy, in the water of Holy Well – which gives an indication of how far medicine has come in the last 200 years. 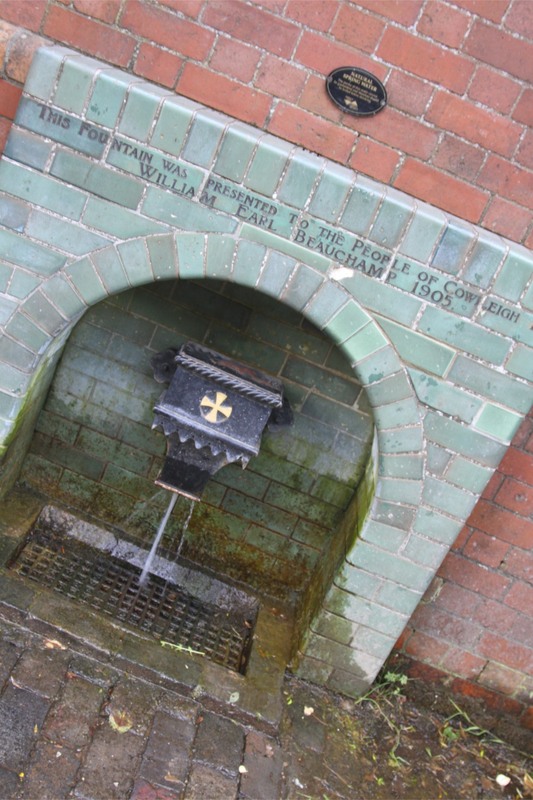 In 1850 the Schweppes company bought the rights to bottle water at Holy Well, and the water became one of the most recognisable drinks anywhere in Britain. 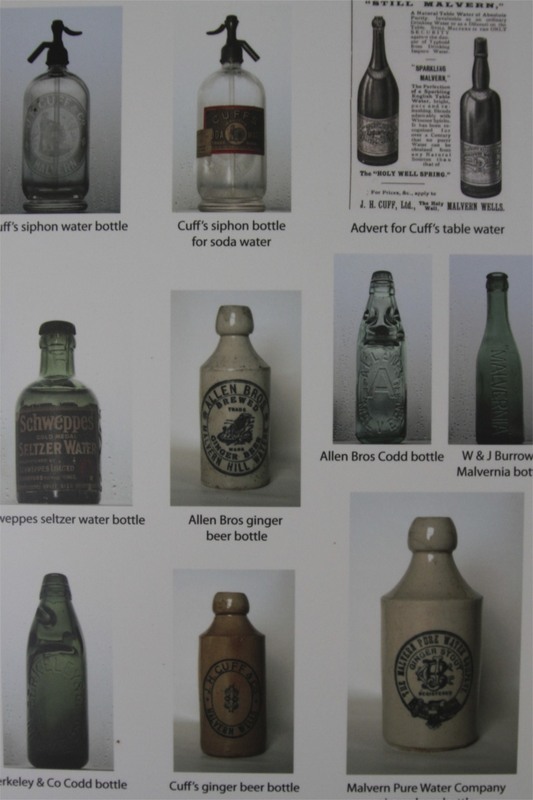 Water has been bottled there almost continuously ever since. Importantly, Holy Well is public. We all have the right to drink from the fountain. It was a hot day when I walked there. Thirsty upon arrival, I scooped a few handfuls of water – it was cold and refreshing, but tasted of nothing. My only other drinking companion was an Irish Setter, who was taking advantage of the dog bowl on the floor. I believe I speak for both of us, when I say we were grateful to drink fresh spring water that didn’t come in a plastic bottle costing 1000% more than tap water. Refreshed I moved off towards Little Malvern. 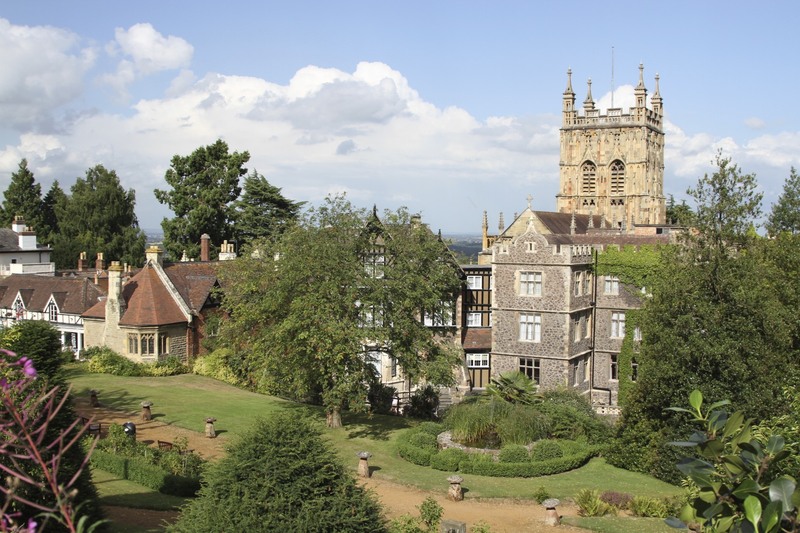 The smallest of all the Malverns is an interesting place thanks to the 12th century Benedictine Monastery, Little Malvern Priory, and the nearby 15th century country house, Little Malvern Court. 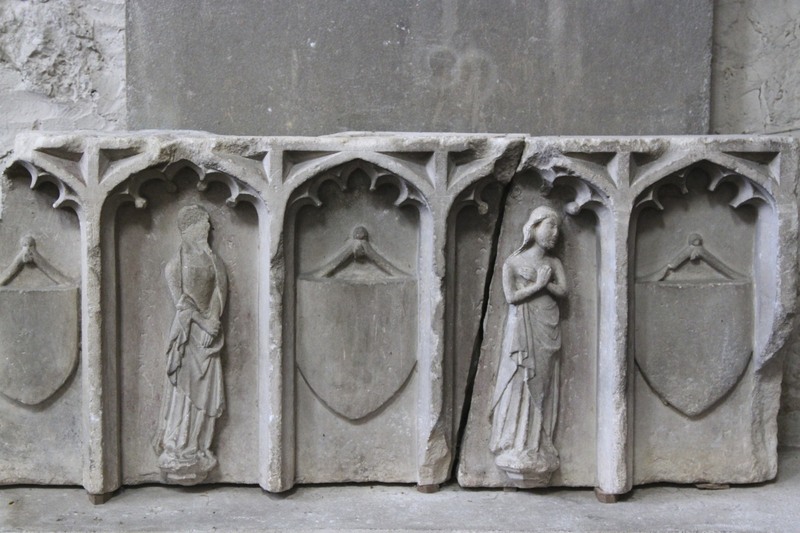 Sadly the Court wasn’t open to the public, but the Priory was unlocked. 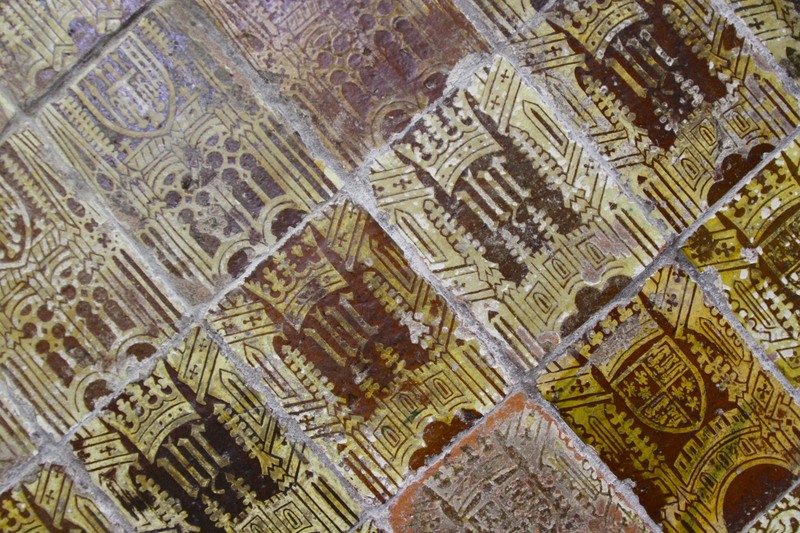 The Priory was established in 1171 and functioned as a Benedictine Monastery until the Dissolution of the Monasteries in 1537. 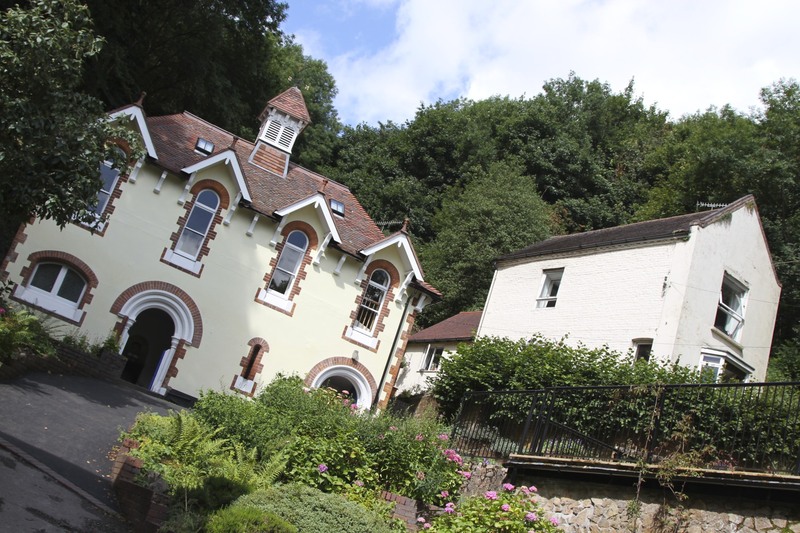 The buildings then became the property of wealthy landowners – its been in the same family since 1539 – and turned into a country house, Little Malvern Court. 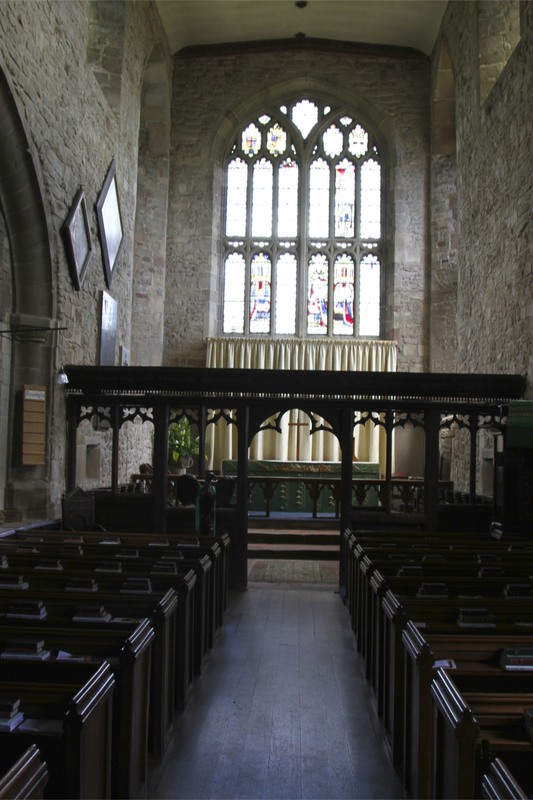 The current Priory Church dates from a time after 1539. 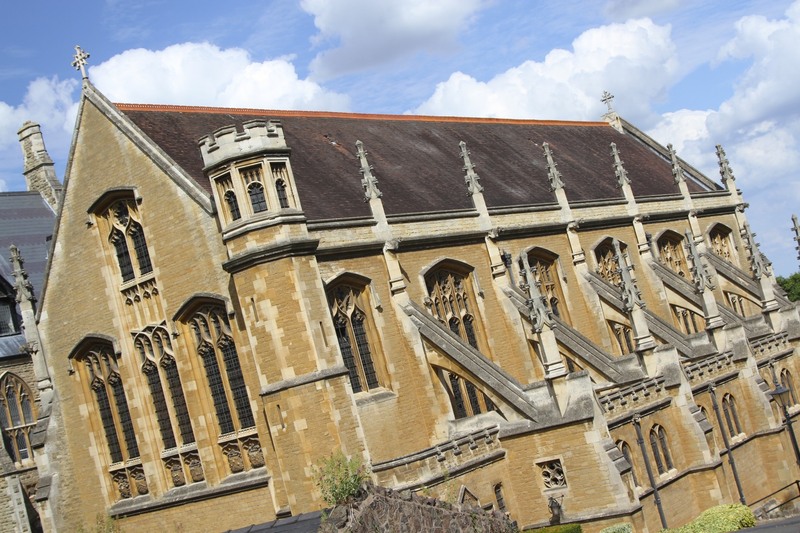 Walking inside, it is remarkable how small it is, giving the impression that it functioned like a private family church for Little Malvern Court. 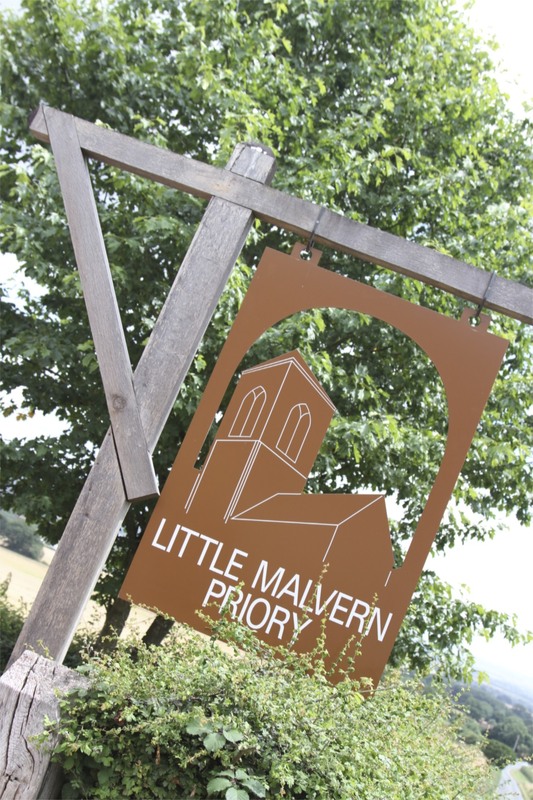 The other ‘attraction’ in Little Malvern lies a short walk away in the cemetery of the Catholic Church. 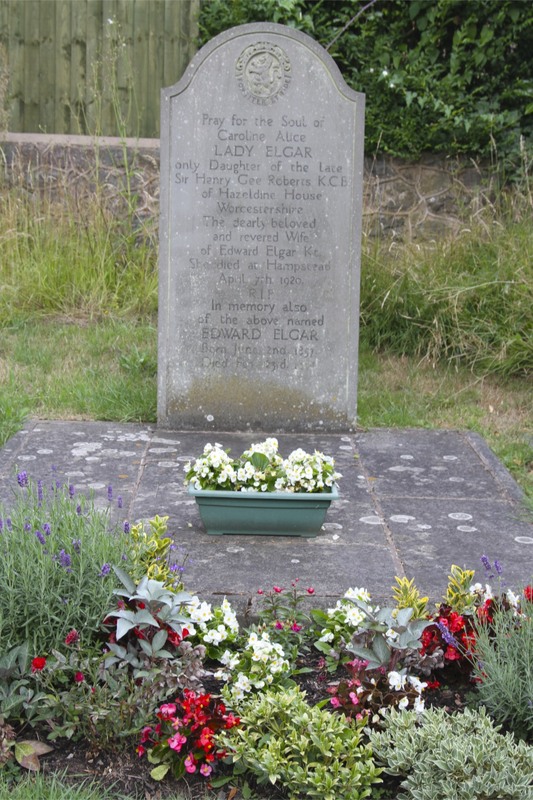 Here the locally born composer, Edward Elgar (1857 – 1934), is buried. 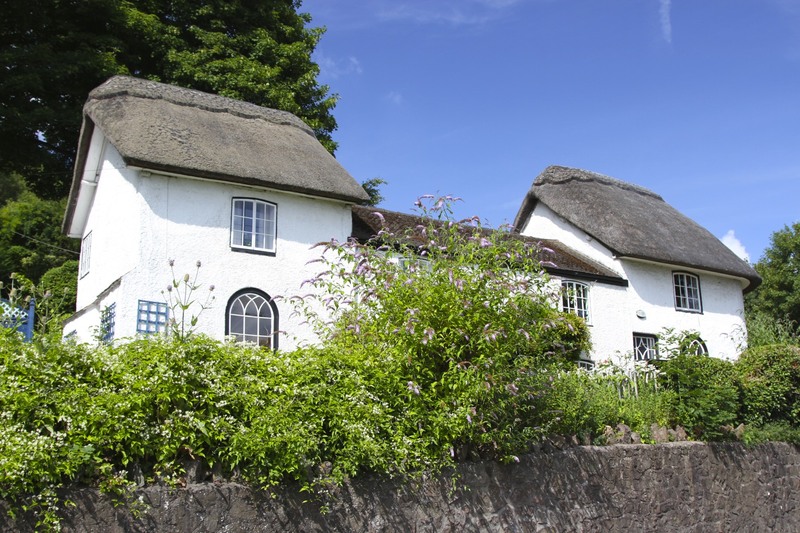 Elgar is probably Britain’s best known composer today, famous for his Pomp and Circumstance Marches – considered the embodiment of ‘Britishness’. 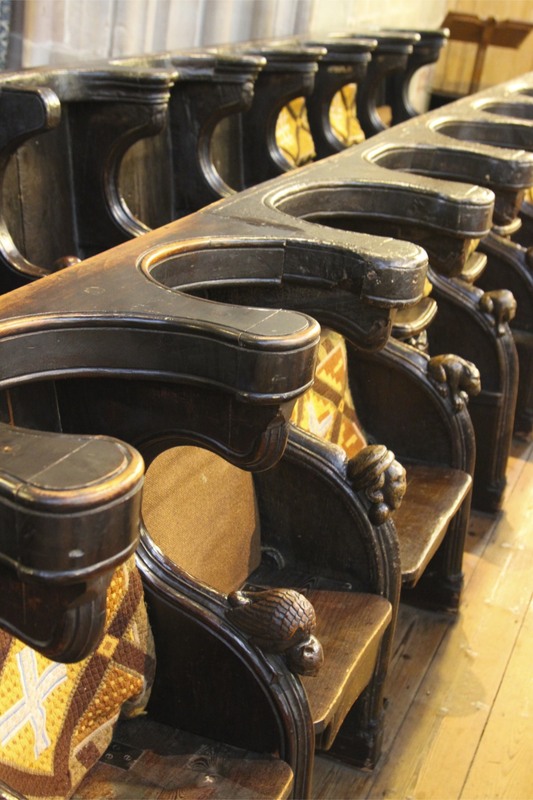 Ironic then that, as a Roman Catholic, he was treated with suspicion by the Anglican authorities and, in class conscious Victorian Britain, considered an outsider due to his lowly birth – his father was a piano tuner. Not sure much has changed since then. 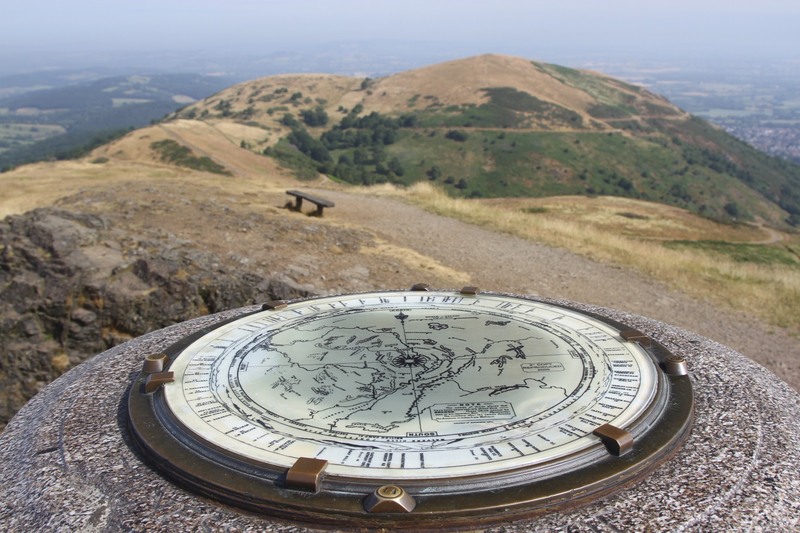 The Malvern Hills are the single most striking geographical feature in Worcestershire and Herefordshire, between which they form a natural border. A ten mile long row of steep, jagged hills, rising sharply out of the surrounding plain and towering over the villages and farmland below. 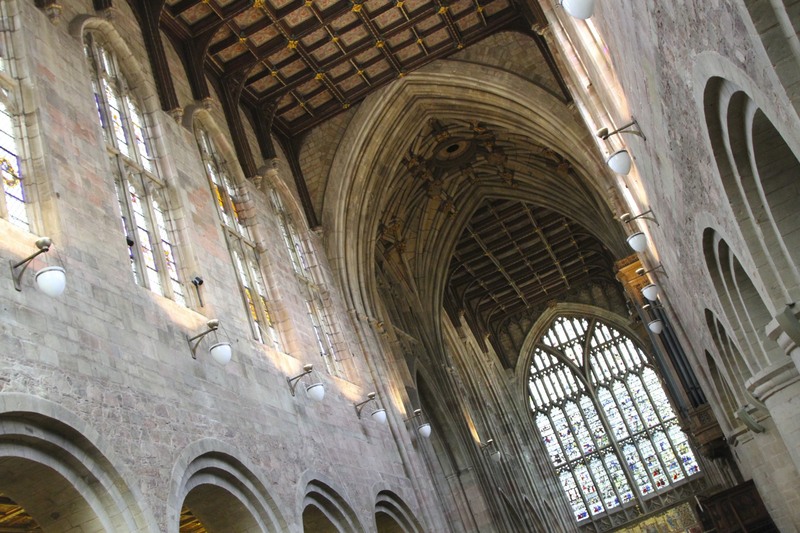 The views are breathtaking – on a good day you can see the towns of Worcester, Hereford and Gloucester, as well as the Black Mountains in Wales. 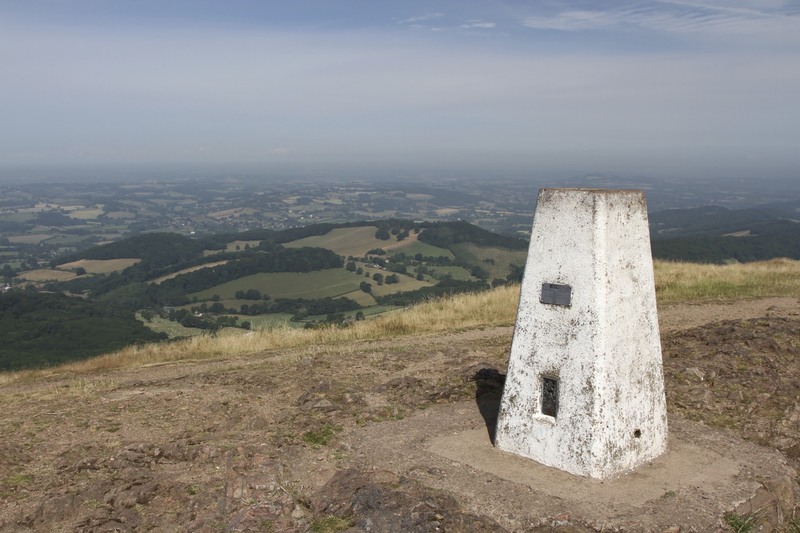 When you’re stood on top of the highest point in Worcestershire, the Beacon, its hard to imagine just how these hills came to be here. They seem such an anomaly. From the commanding viewpoint on top of the Beacon, it is also necessary to keep reminding yourself that you’re standing on a lump of rock only 425 metres (1395 feet) high. It feels an awful lot higher. The peculiar shape is thanks to the geology of the hills, and their formation through tectonic plate activity. 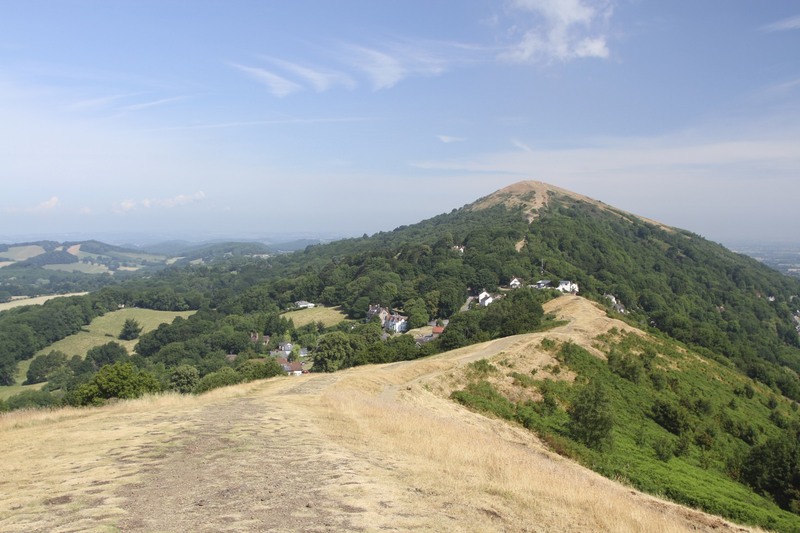 The rock in the Malvern Hills is some of the most ancient in Britain, clocking in at a respectable 680 million years old, give-or-take a millennia. The rock is hard and durable, one reason why, over the last several millennia, it hasn’t eroded away like much of the surrounding countryside. The hills were formed when tectonic plates collided with massive force around 300 million years ago, forcing the ancient rock to spike upwards. These hills are a striking visual reminder of the history of the planet. 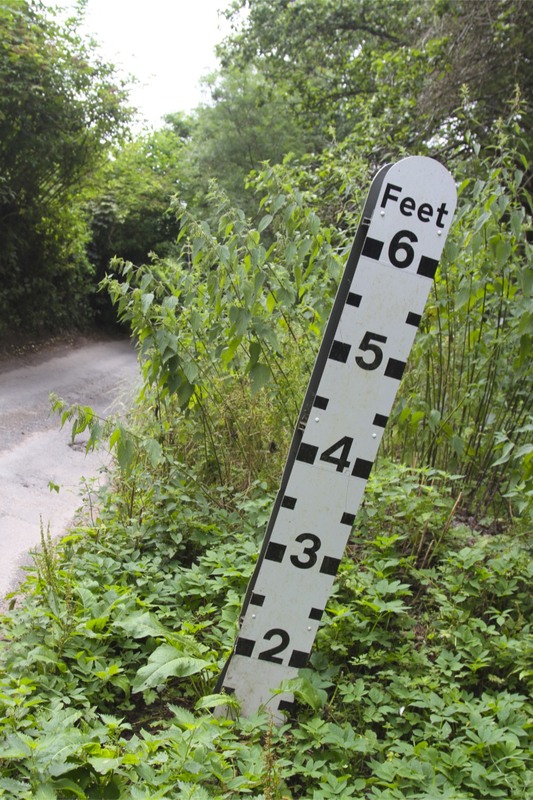 Despite their modest size, walking here is fairly challenging – a series of steep descents followed by steep climbs. There isn’t a scrap of shade on the majority of the hills, on a hot day it can be an exhausting, if rewarding, experience. Even though the surrounding area is highly populated, walk here on a week day and you don’t see many people. 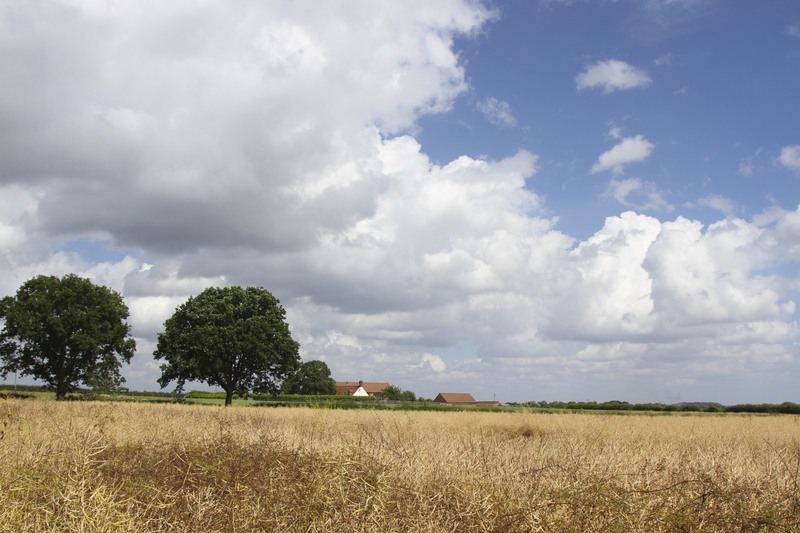 At times the sense of isolation as you look out over the surrounding landscape is overwhelming. 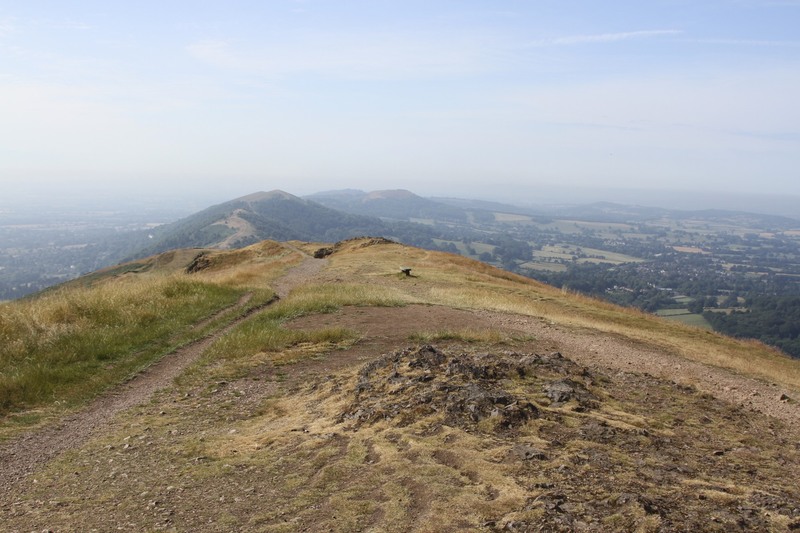 The human history of the Malvern Hills is as extraordinary as their physical attributes. 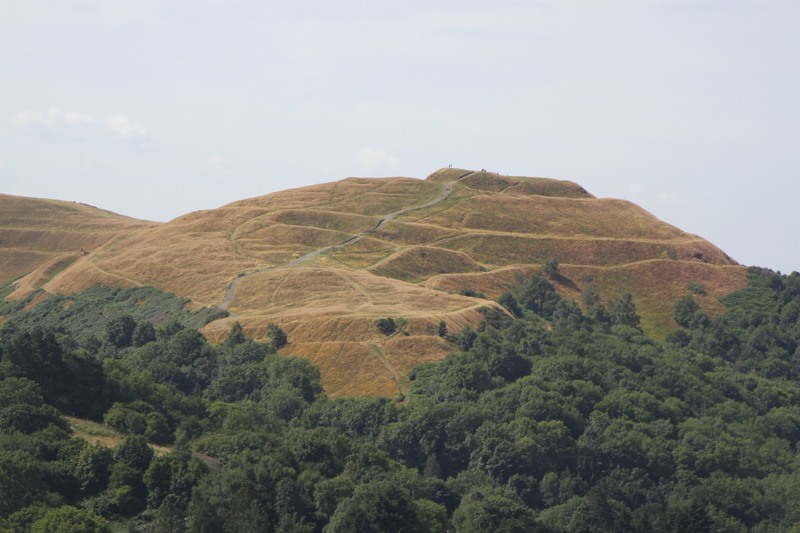 The most obvious and dramatic site is the Iron Age hill fort at British Camp, thought to have been first constructed around 500BC and extensively expanded around 400BC. Seen today, without its battlements and defenders, the pyramid-like hill looks more like a giant sculpture. Walking to the top, its clear how difficult it would have been to attack the fort. 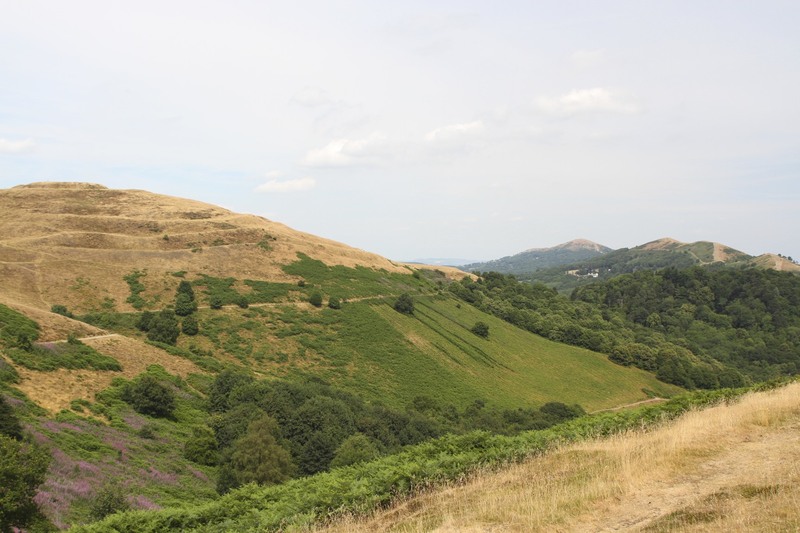 Running north and south for several miles from British Camp, across the tops of the Malvern Hills, are ditches. 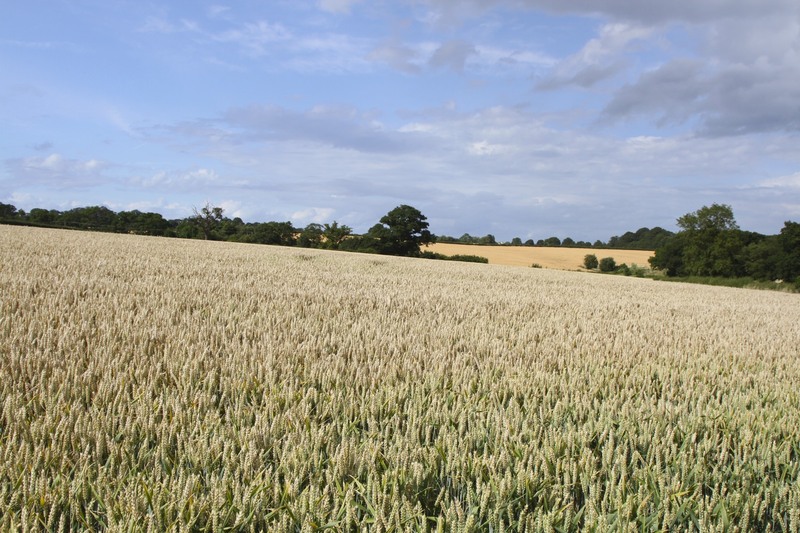 Known as the Shire Ditches, these were originally thought to be Medieval, but recent archaeological surveys date them much earlier. 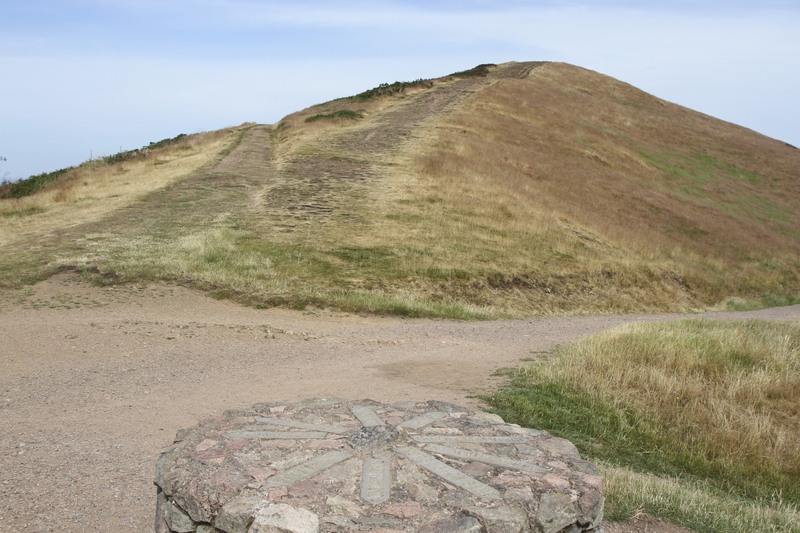 They were most likely constructed in the Late Bronze Age (1500BC – 700BC), offering a tantalising glimpse into the history of human occupation in the Malvern Hills. When native resistance crumbled in the face of the Roman Occupation of ancient Britain in AD43, the fort was abandoned, only to be reborn as a Medieval castle sometime after the Norman Conquest in 1066. 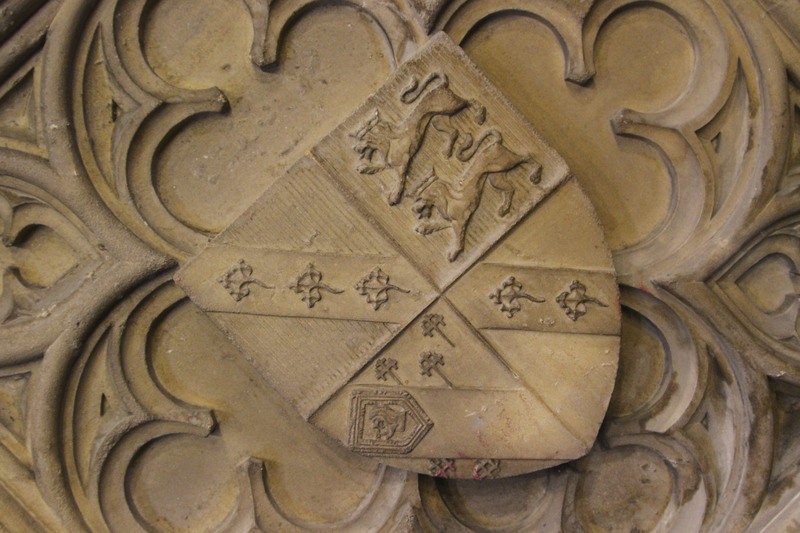 The castle was probably made from wood and linked to the Duke of Gloucester’s hunting estate at Malvern Chase. 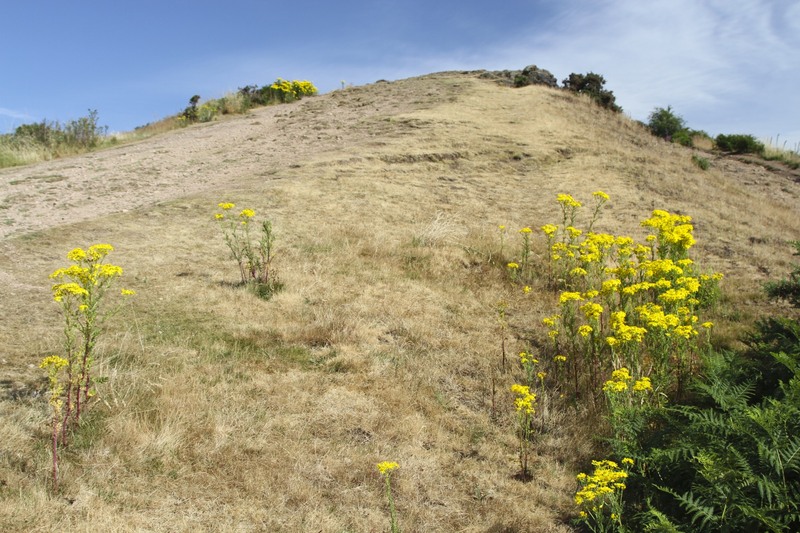 Nothing remains of the castle or the Iron Age fort, but the earthworks are living testimony to human civilisations who have occupied this region. 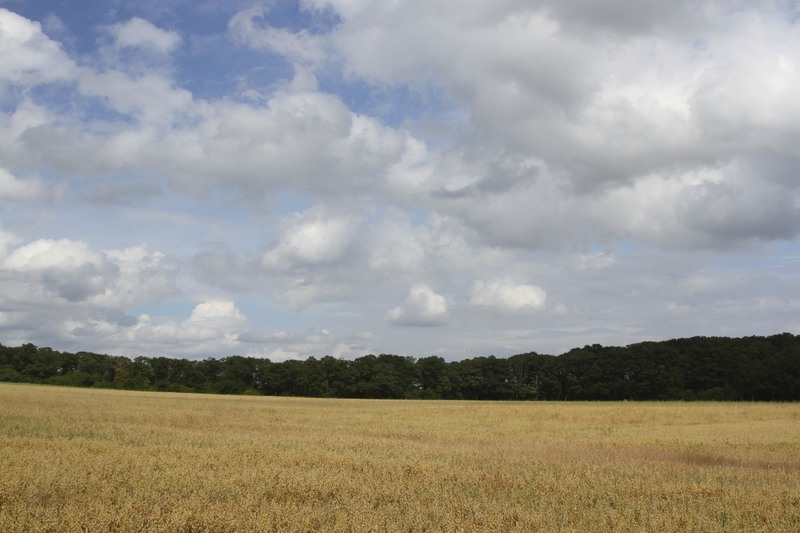 In the 14th century, the site of British Camp was one of the inspirations for William Langland’s famous poem The Vision of Piers Ploughman. 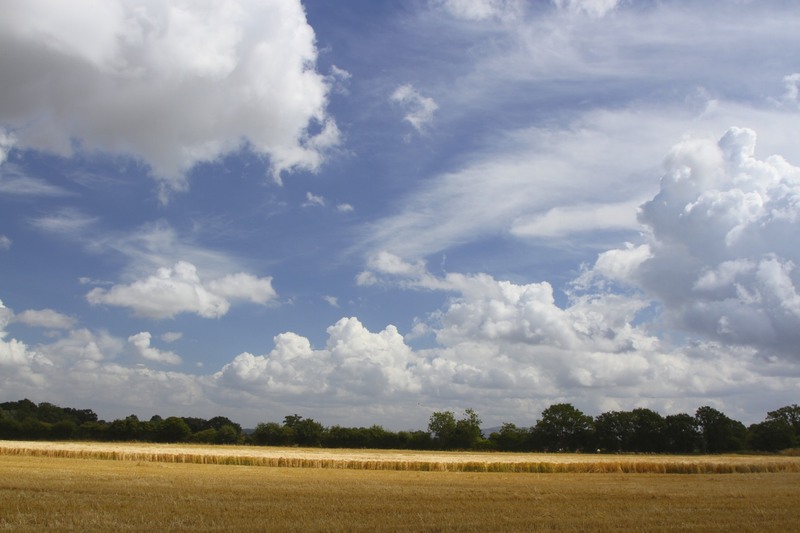 In the poem the character ‘Will’ dreams of a tower high on a hill. A reference to British Camp. The hills have been inspiration for other great literature as well. W.H. 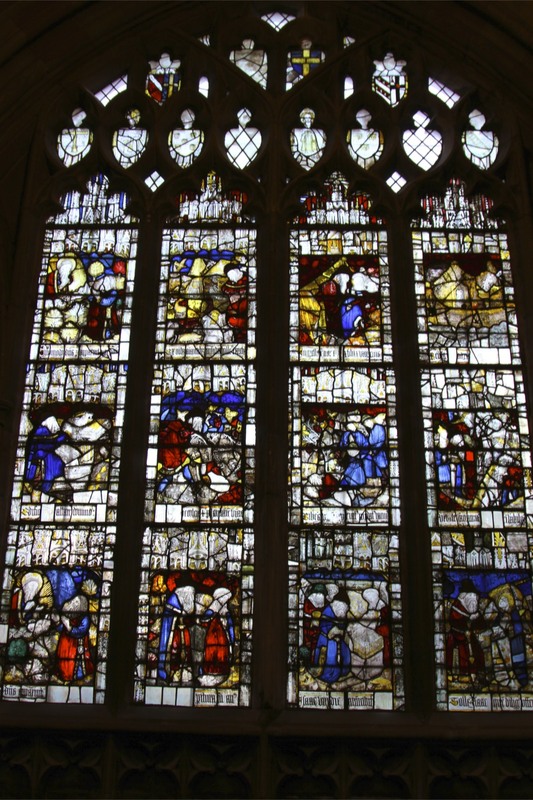 Auden wrote some of his finest poetry while living near here, including one of my personal favourites, Lay Your Sleeping Head, My Love. 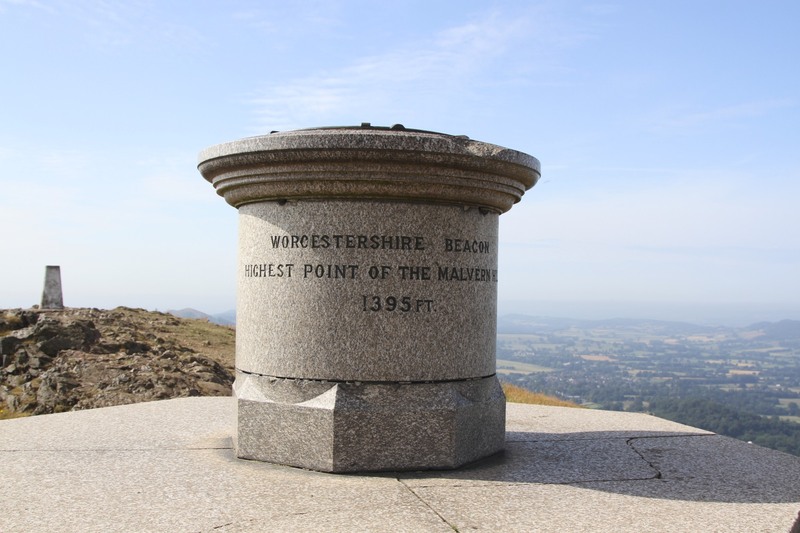 He also wrote the less well known, The Malverns, about…the Malvern Hills. The area also provided inspiration for C.S. Lewis (author of The Chronicles of Narnia), and J.R.R. Tolkien (of The Hobbit and Lord of the Rings fame). 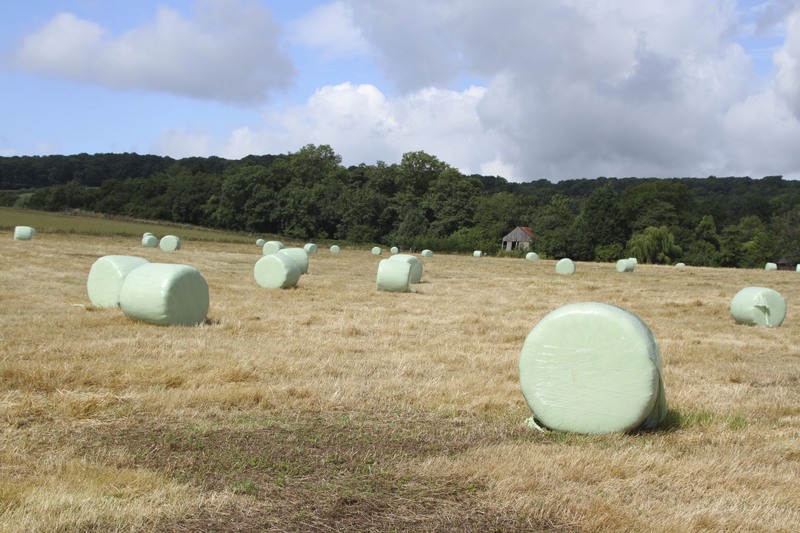 When you walk amongst these hills its easy to appreciate just how inspirational they can be. 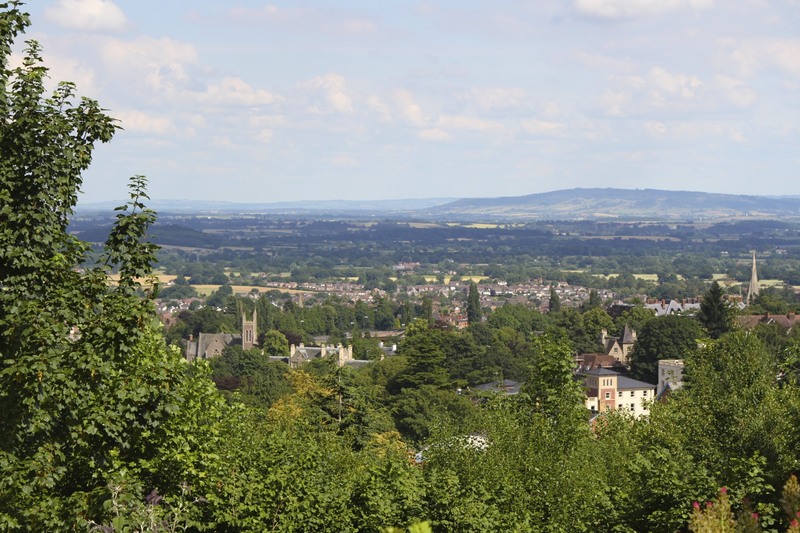 Great Malvern, or ‘Malvern’ as it is typically known, is the quintessential Victorian spa town. 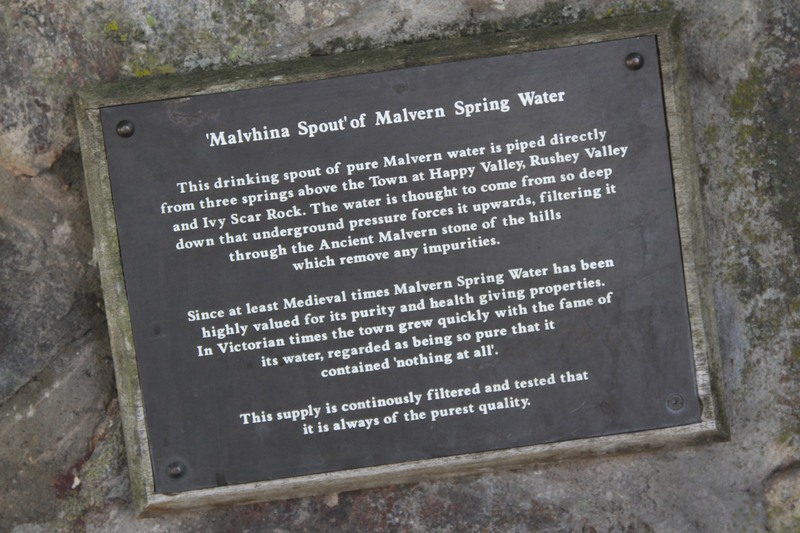 From Medieval times onwards, the water in Malvern was (and still is by some) regarded as having special or even ‘healing’ qualities. 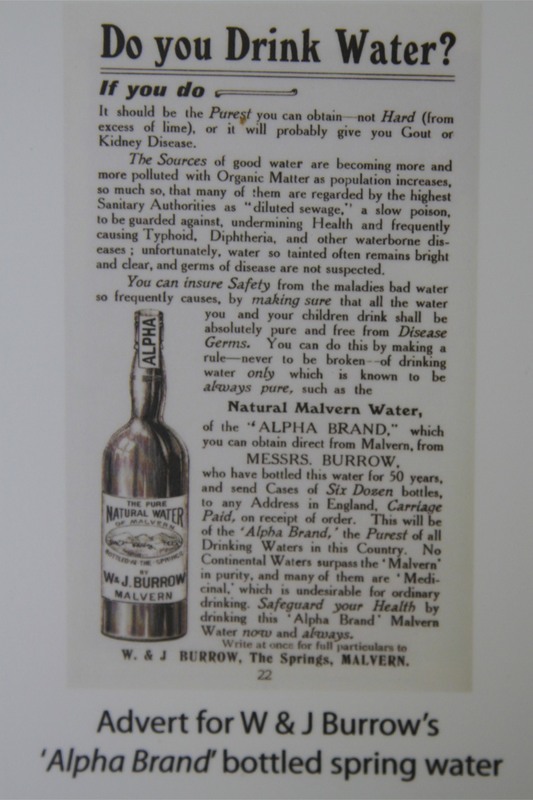 Malvern water was being bottled and sold as early as 1622. Yet, it took the ingenuity of the Victorians to turn this once small village into a hugely popular and extremely fashionable spa town. 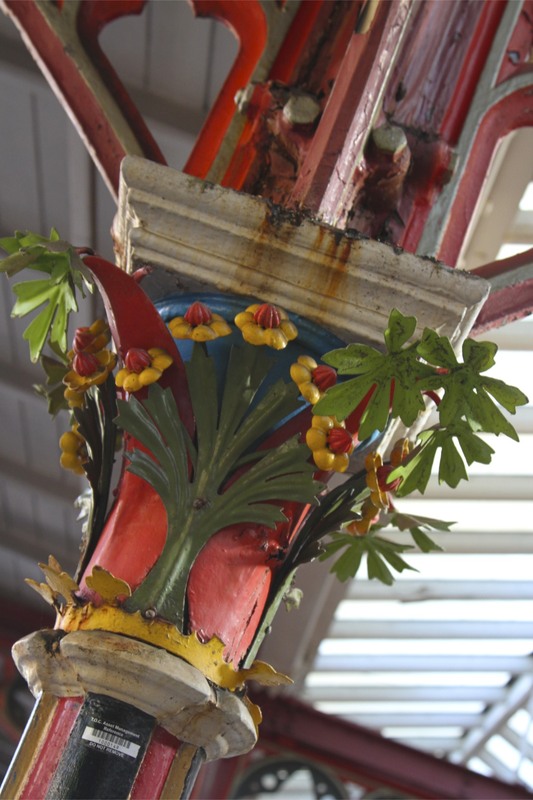 The Victorians have left a huge physical legacy, and not just in Britain. 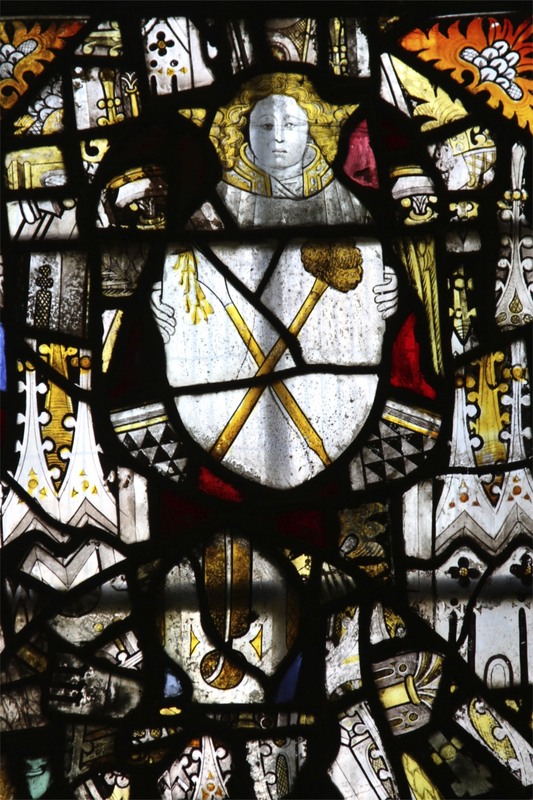 Theirs was the age of empire and an unwavering certainty of Britain’s role in the world. Their buildings and engineering projects reflect that certainty, vast edifices to power designed to awe. No one could visit New Delhi and not appreciate the intent behind the vast Lutyens-inspired colonial city that was constructed there. The scale is monumental. 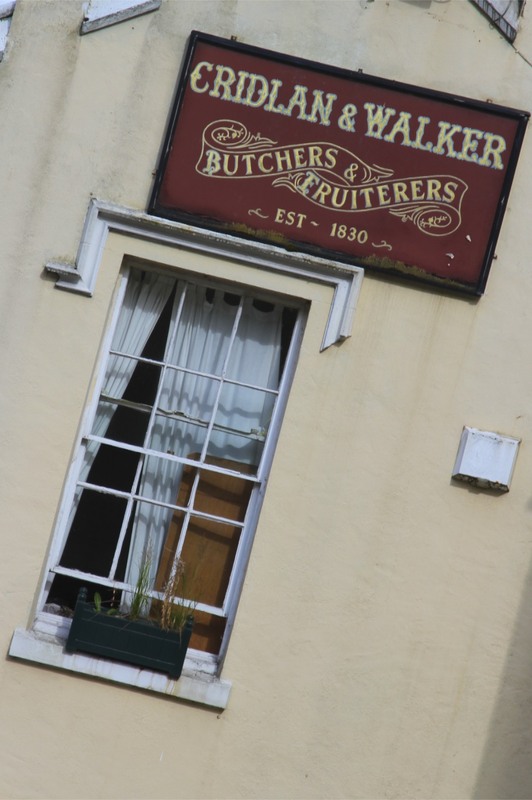 That same jingoism infected just about every Victorian building project in Britain, and sturdy, confident Victorian buildings are everywhere in Malvern. 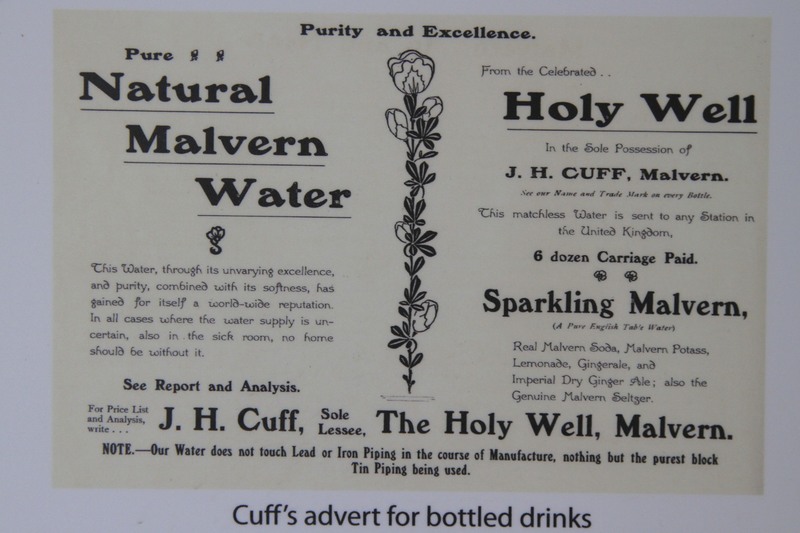 Malvern grew dramatically in the early part of the nineteenth century as more and more people came to ‘take’ the waters. Even Princess, later Queen, Victoria made a visit in 1830. 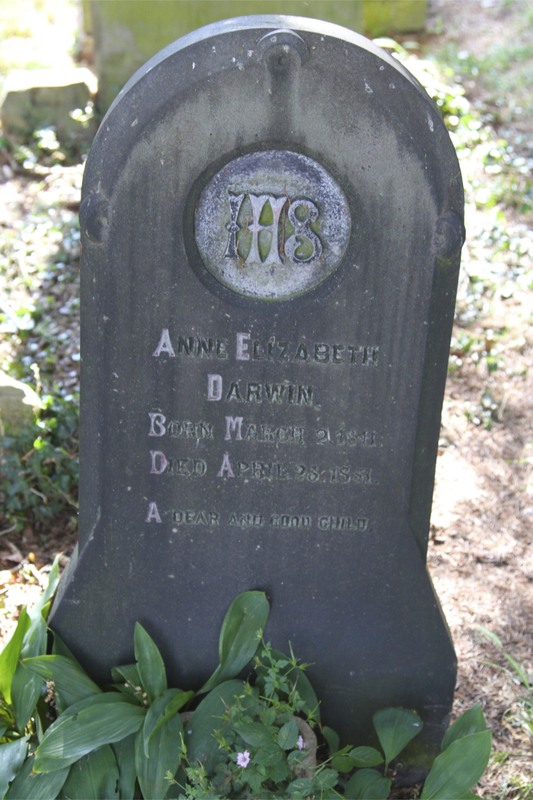 Aged only twelve, she came to open a newly created walk to St. Anne’s Well, one of the many fresh water springs. 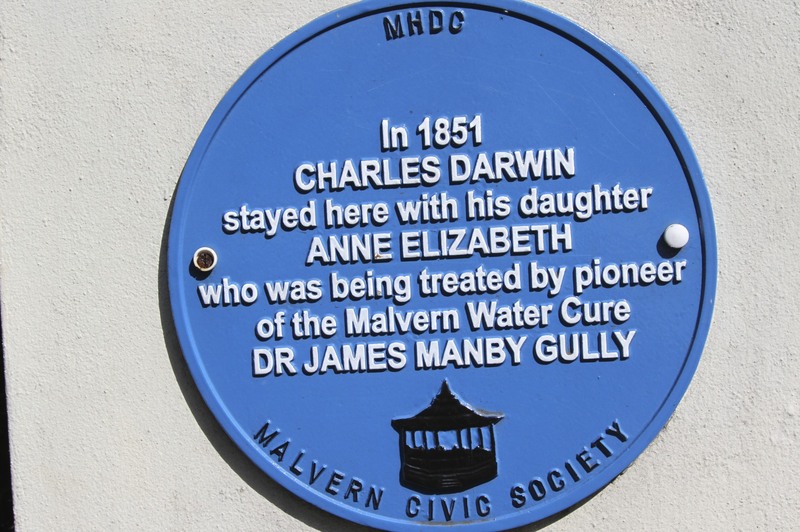 Her presence made Malvern even more popular, but it was the invention of the ‘Malvern Water Cure’, and the opening of clinics administering the ‘cure’, that really put Malvern on the map for health craze mad Victorians. 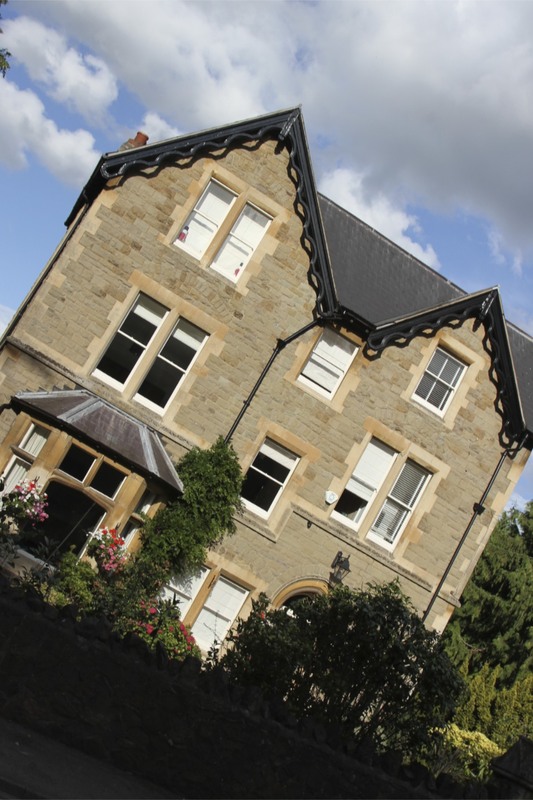 The popularity of the ‘cure’ saw an unprecedented surge in building: hotels, spas, boarding houses, Victorian and Edwardian villas and dozens of grand town houses fill the centre of Malvern to this day. 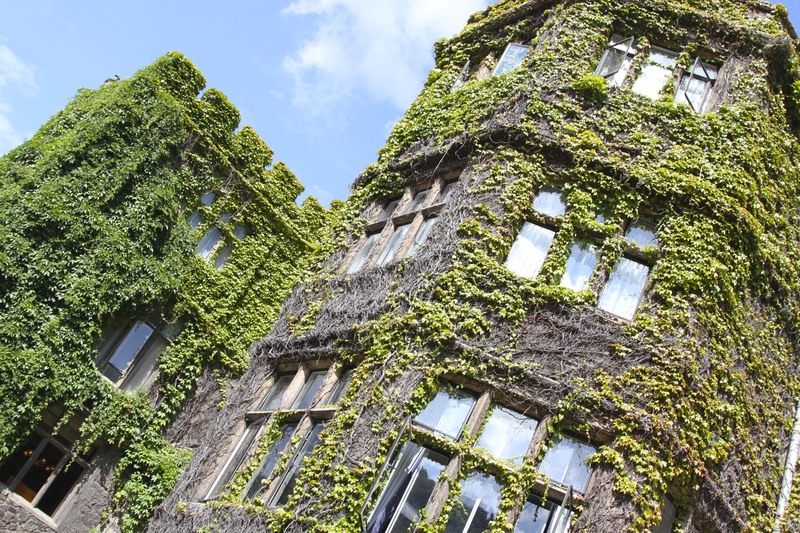 The architectural styles range from Scottish Baronial to Ancient Greek, a collection Victorian fantasy buildings to rival Disney. 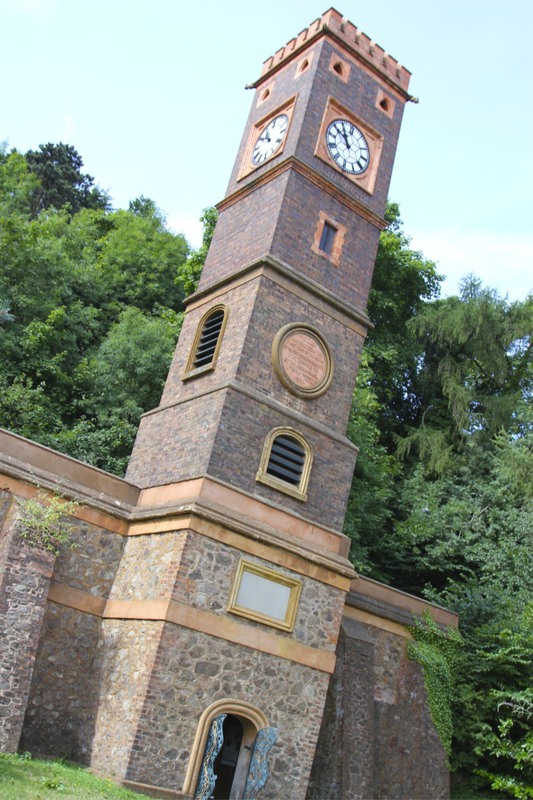 The railway came to Malvern in 1859, making travel from London and elsewhere much more simple, and cementing the town’s position as one of the leading spa towns in Britain. All this development had a downside. 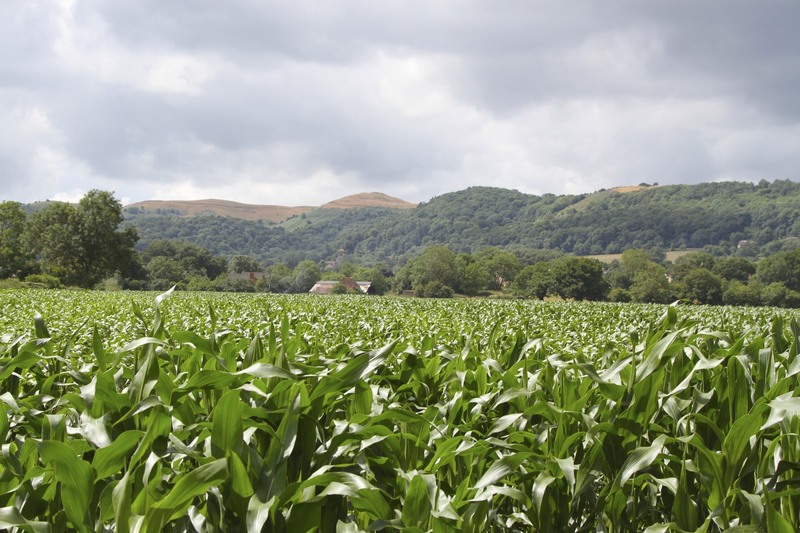 It crept ever further from the centre and started eating into common land and the Malvern Hills, which were a huge tourist draw in their own right. 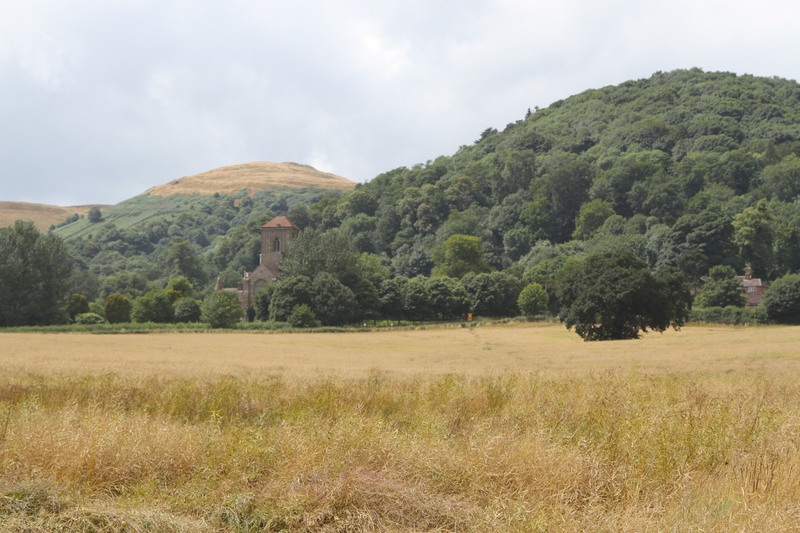 This was resolved by the 1884 Malvern Hills Act of Parliament, preventing further development. 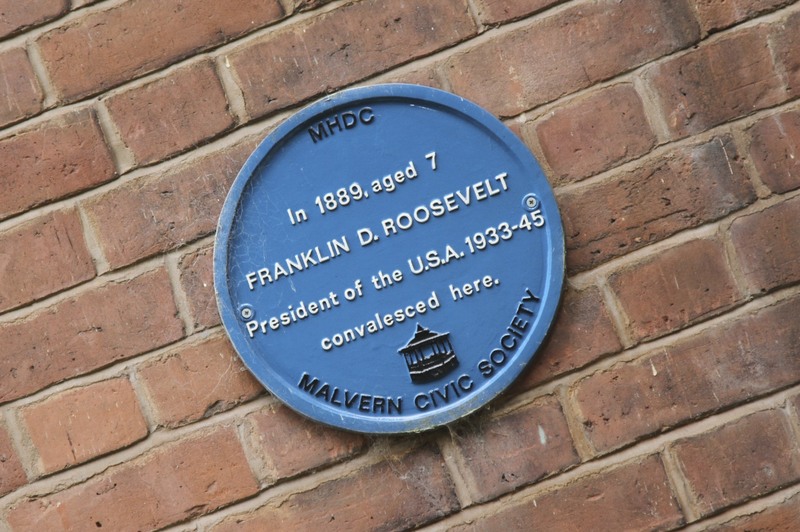 Throughout this period Malvern also became known as a centre for education, and numerous private schools opened in the town. 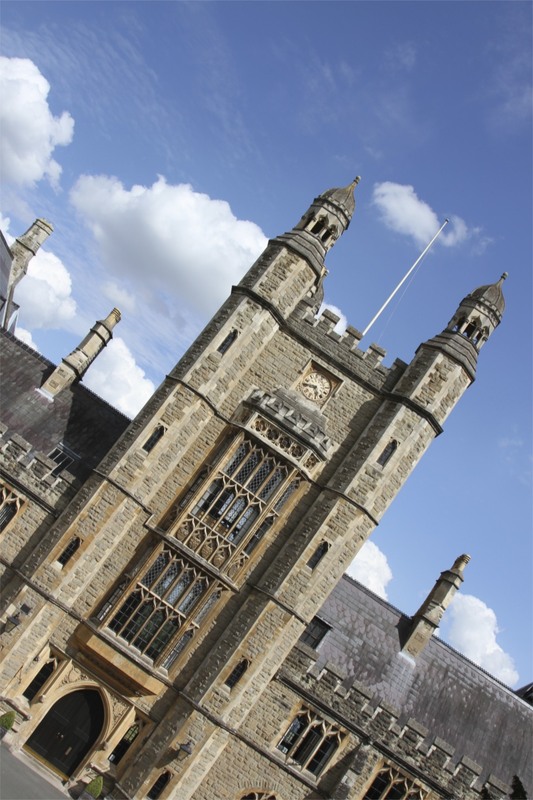 Among those that remain, Malvern College, is a classic example of a Victorian private school – all towers and turrets. Walking through the town today is a visual joy. 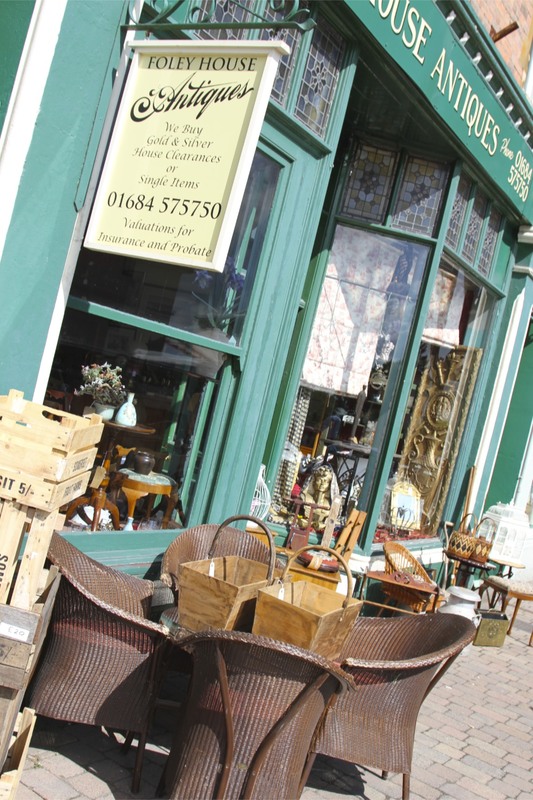 Much of Victorian Malvern, and even earlier, has been preserved. It has one of the finest collections Victorian-era buildings anywhere in Britain and, almost uniquely, very few examples of 1960s and 70s architectural nihilism that blight less fortunate towns.